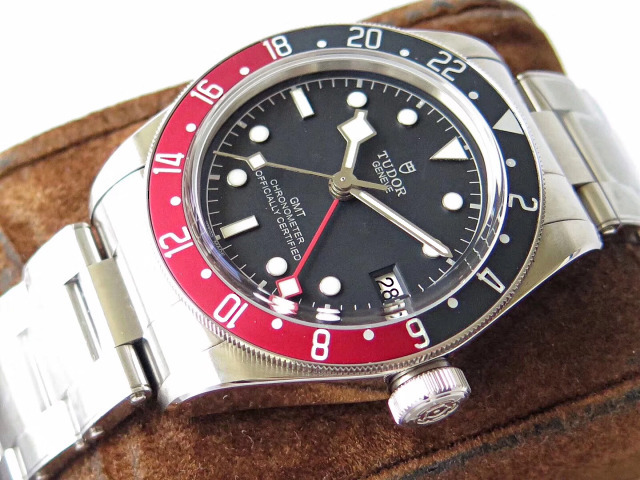 Tudor is a second-tier brand of Rolex, many of its models imitate the design of Rolex, which includes Submariner and Day-Date. 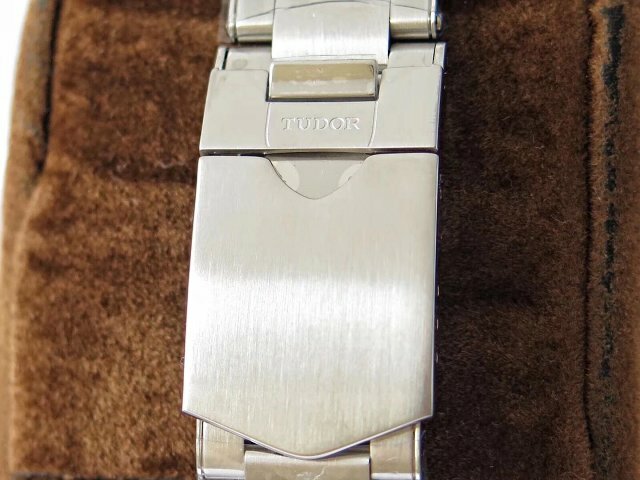 Tudor is considered to be the affordable Rolex. 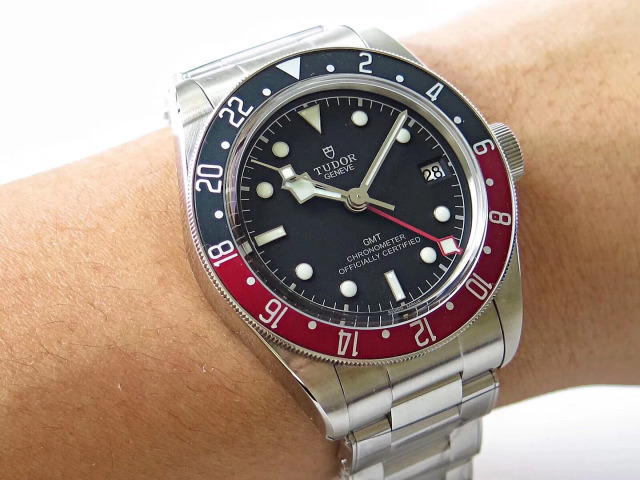 Today, the Tudor Black Bay GMT watch is very similar to Rolex GMT Master II with Red/Blue Ceramic Bezel, but its bezel is made of anodized aluminum, not ceramic. 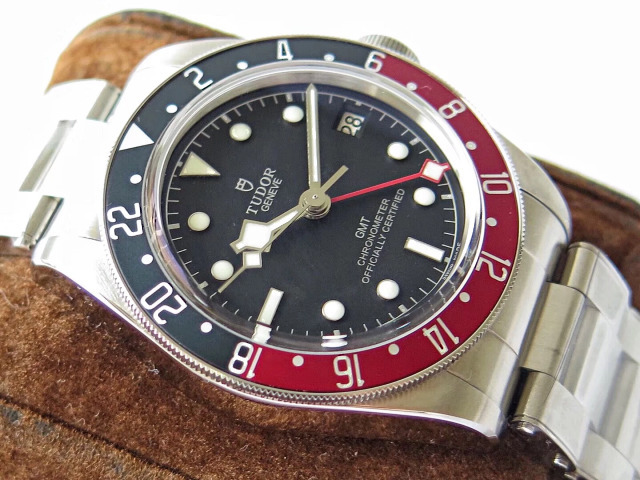 This Tudor Black Bay GMT is a new model published in 2018, then it was selected as “best daily watch” and brought a sales big storm. 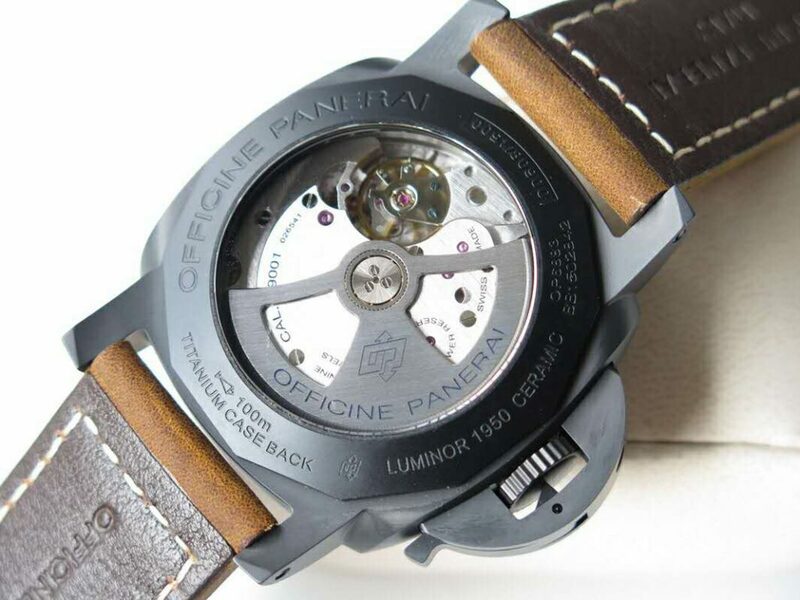 Sometimes, the best-selling watch can not avoid being replicated. 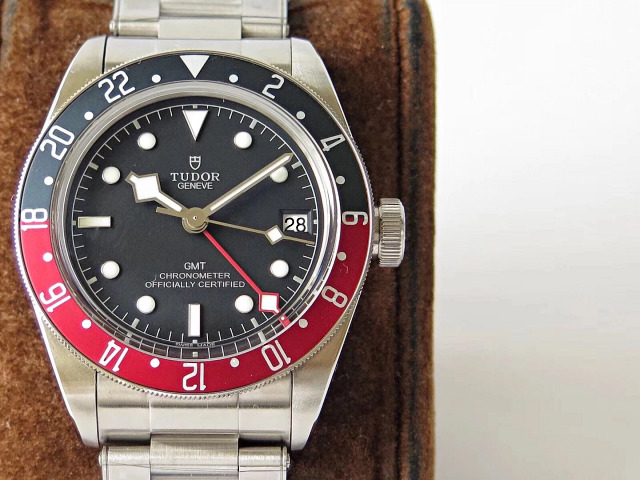 Z factory immediately bought the real watch once it was released, after several months of research, they finally published the replica version of this Tudor Black Bay GMT watch. 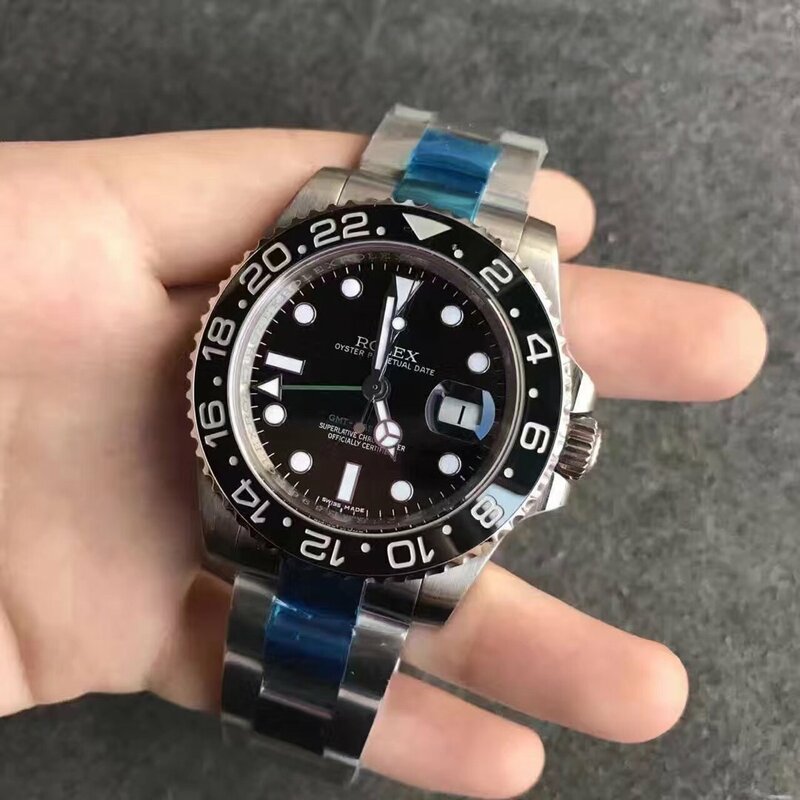 If you are familiar with Z factory, you will know this factory manufactured several pieces of good quality replica Tudor watches in the past, so based on previous experience in replicating Tudor, this replica Tudor Black Bay GMT watch they produced is also in high quality. 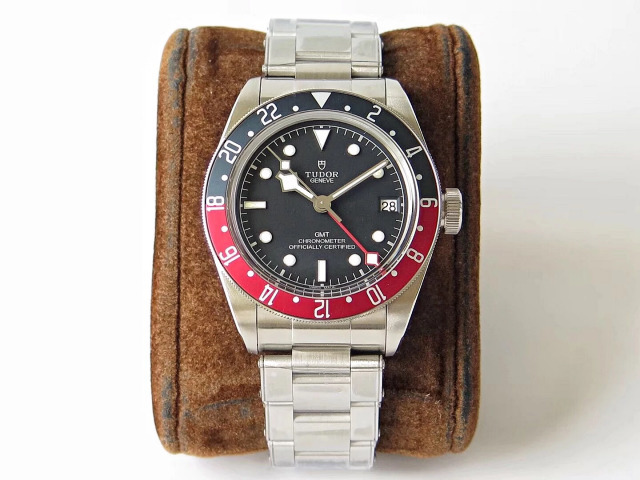 Follow the bi-color ceramic bezel design of Rolex GMT, the blue/red bezel is the biggest feature of this Tudor. 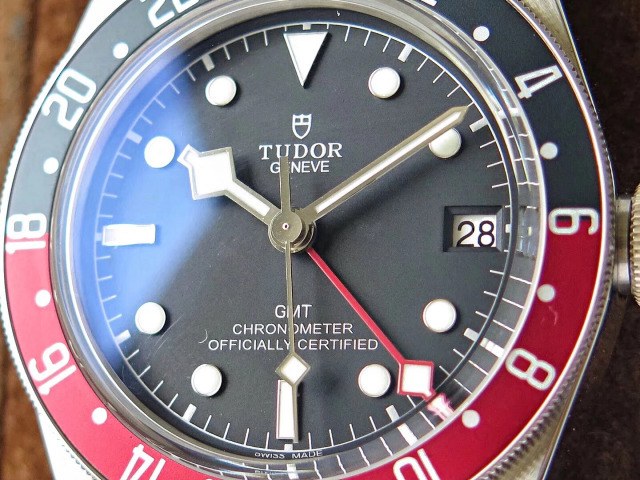 It is also the first time for Tudor to use such bi-color bezel on their Black Bay series. 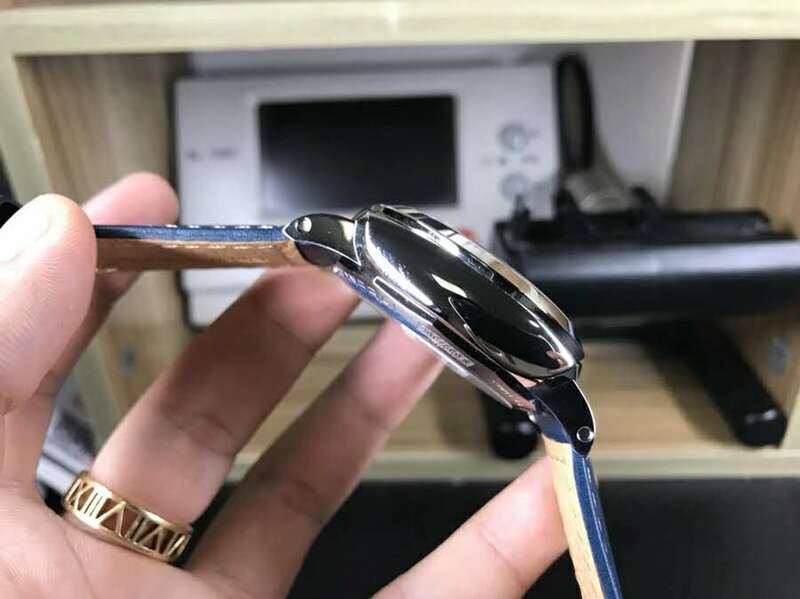 Although the bezel uses blue and red color, it is matte treated, so the blue and red color does not look that shiny or bright. 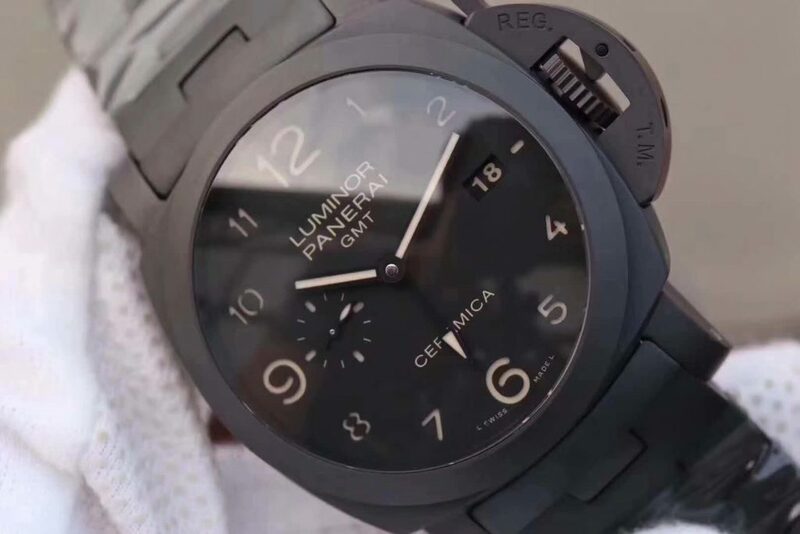 Like genuine watch, the replica is measured to be 41mm in case diameter, crystal uses dome-shaped sapphire crystal that features colorless double AR Coating. 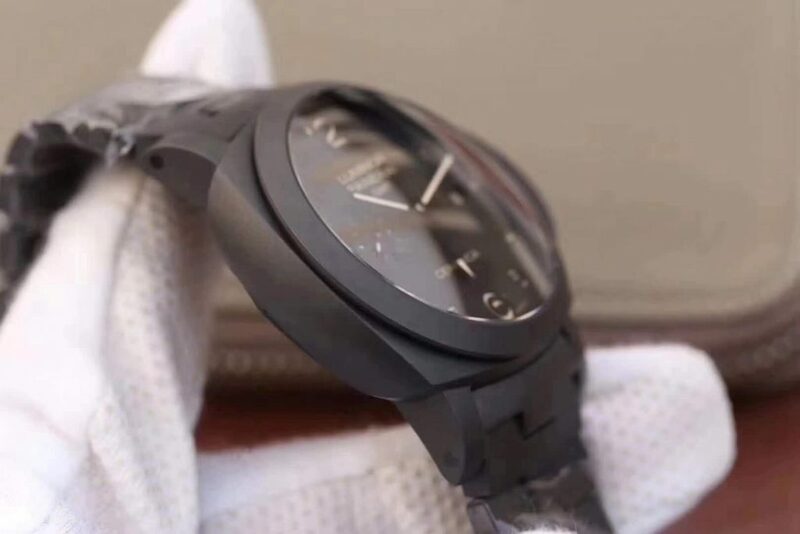 The dome-shaped sapphire crystal is also one of the biggest difficulties Z factory has to face when replicating this watch. 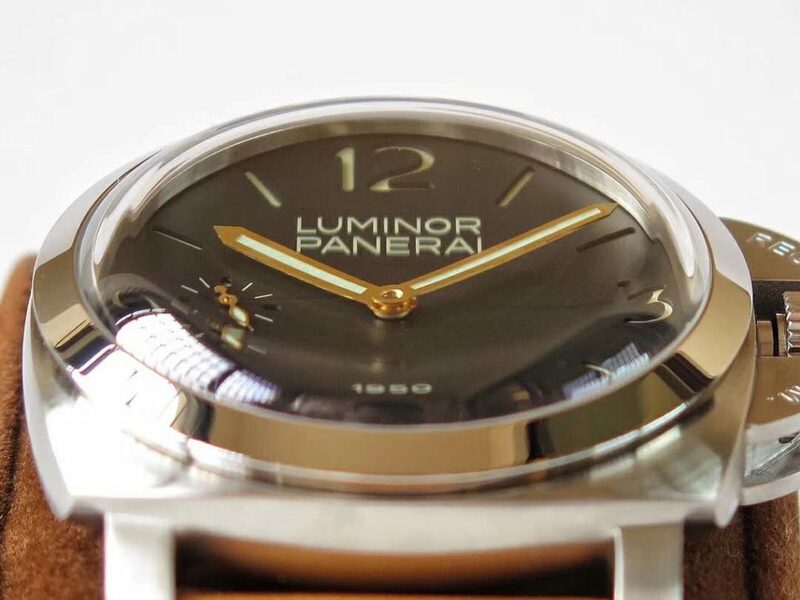 The dome shape also increases vintage flavor. 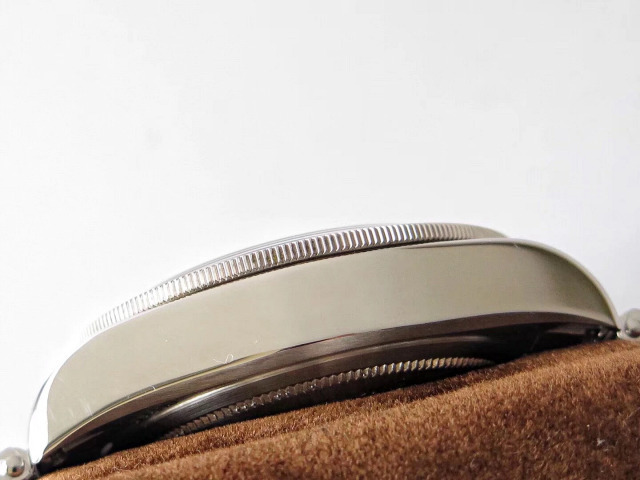 Case is made of solid 316L stainless steel, it is brushed, like the matte finish on bezel. 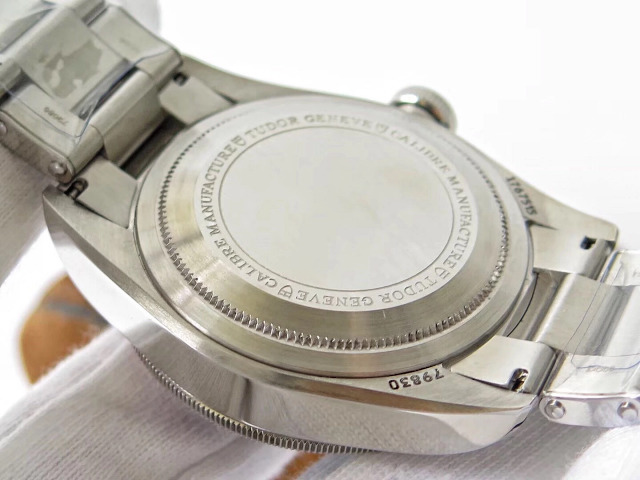 The brushing process also prevents the case from being scratched. 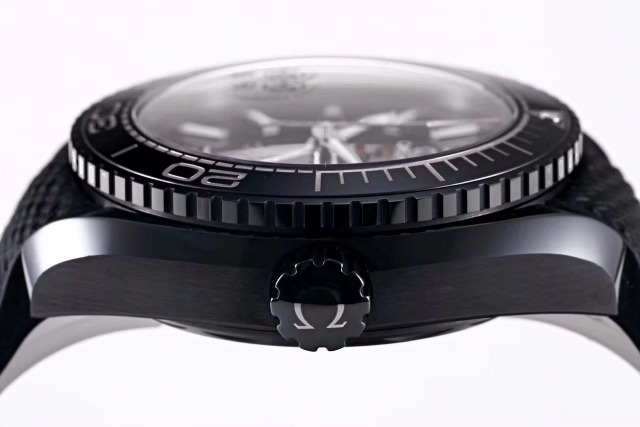 Black dial is simple but has a generous layout design. 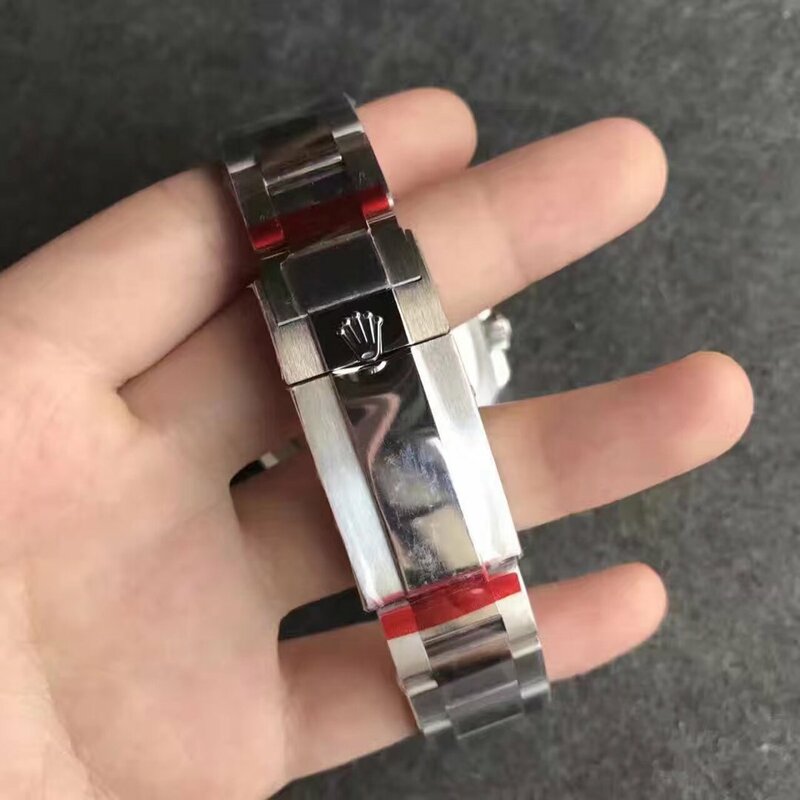 Big hour markers have silver edge and are fully filled with white luminious material, reverse hour hand and snowflake second hand are also one of the features that difficiate Tudor from Rolex Submariner. 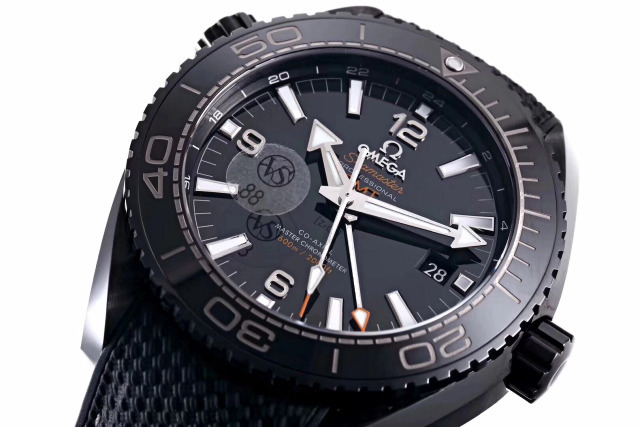 About GMT function, the red GMT hand works the same as genuine watch. 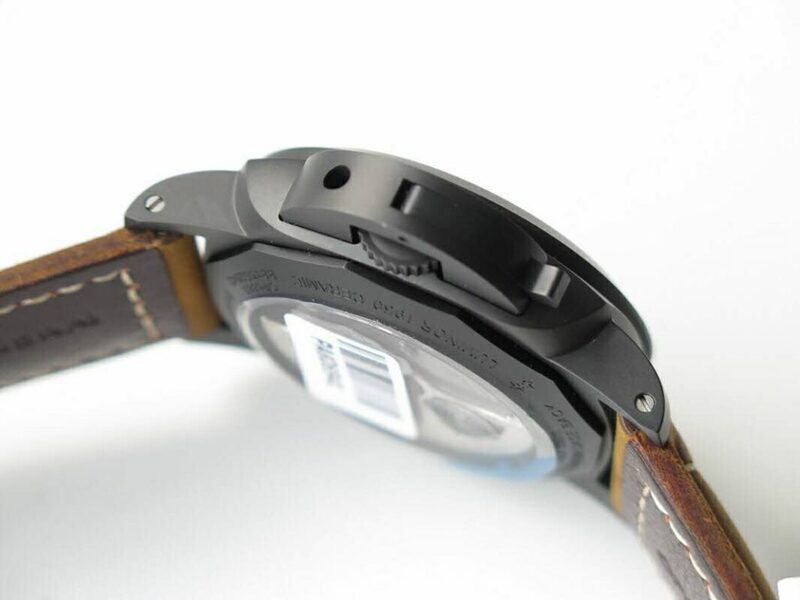 The Tudor Black Bay GMT replica is equipped with a special rivet bracelet. 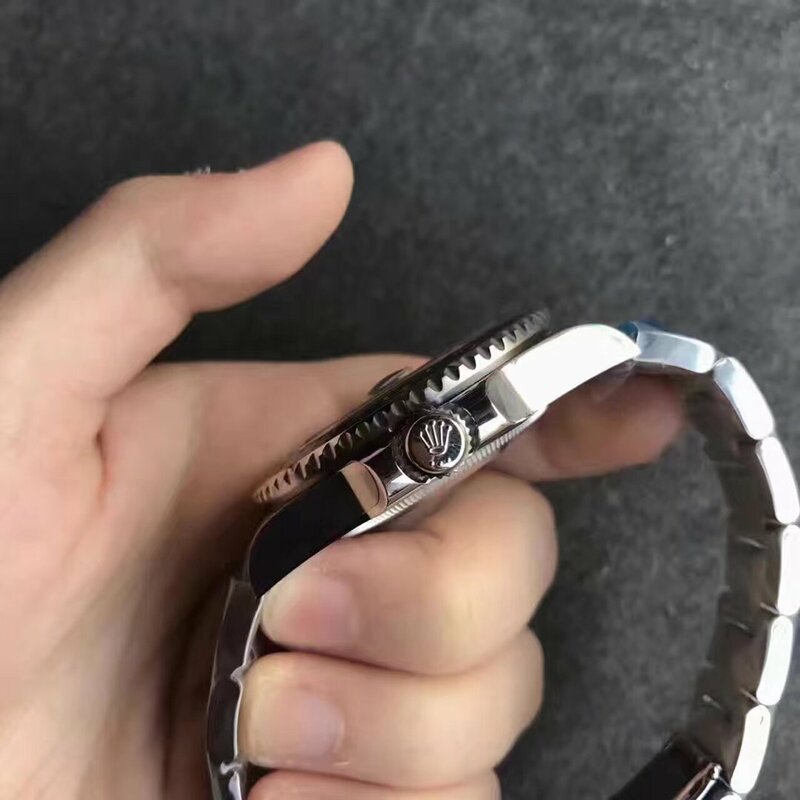 Each link of the bracelet is made of 316L stainless steel and connected by rivets. 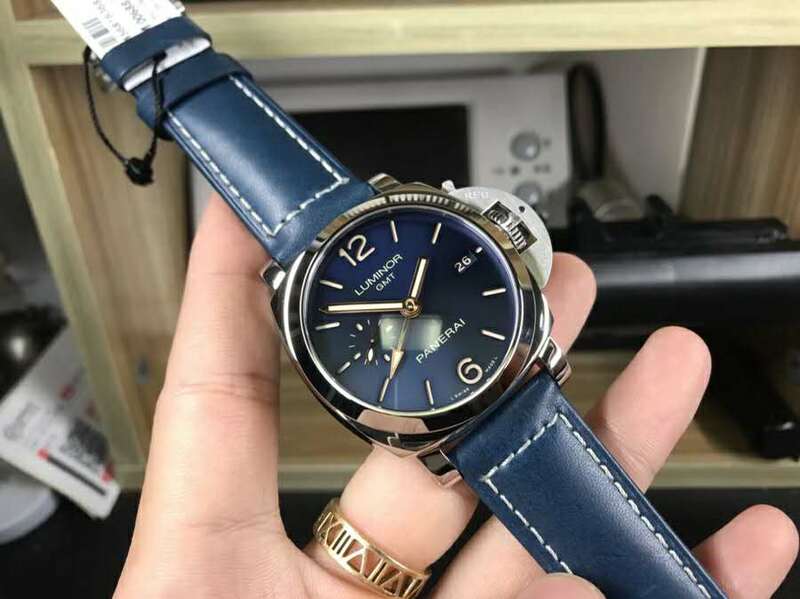 The rivet bracelet, blue/red bezel and domed crystal face all add vintage charm to the replica watch. 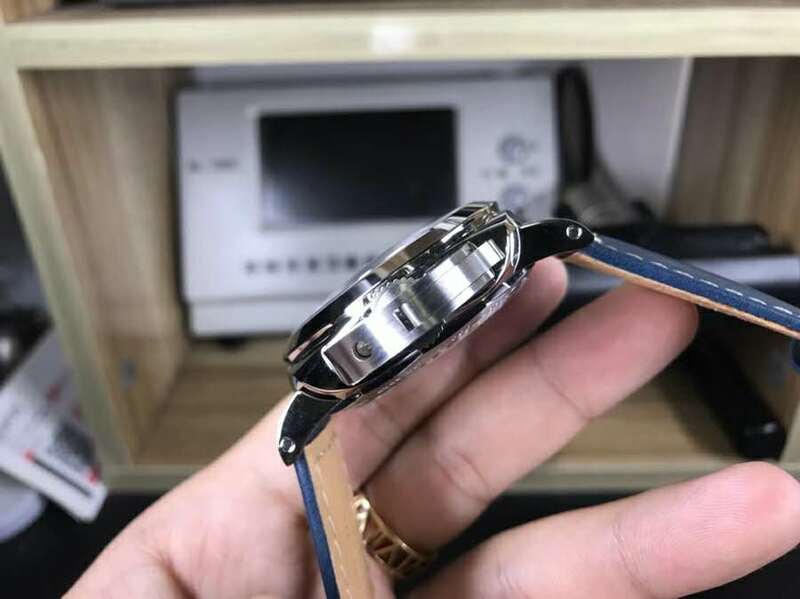 This Tudor Blue Red replica inherits the top grade craftmanship on previous replica Tudor watches made by Z factory, among those Tudors sold at similar prices, this one will be more attractive due to its blue/red bezel. 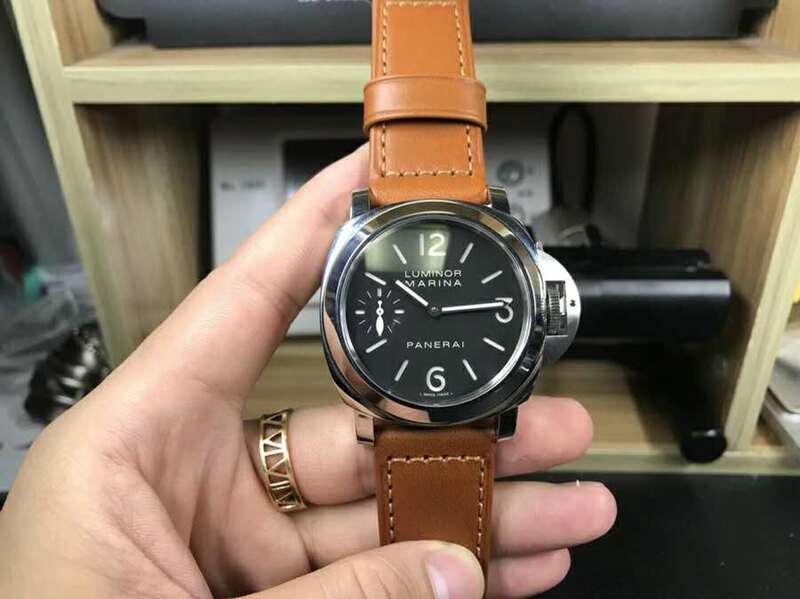 About the quality of the whole watch, Z factory does not let us down. 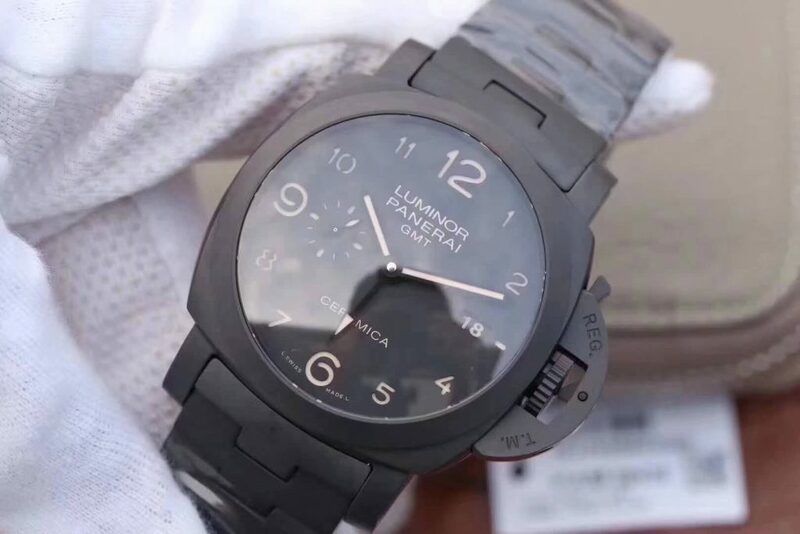 Recently, VS factory released their latest and best edition of replica Panerai Luminor PN441 Ceramica watch, what makes it the best edition? 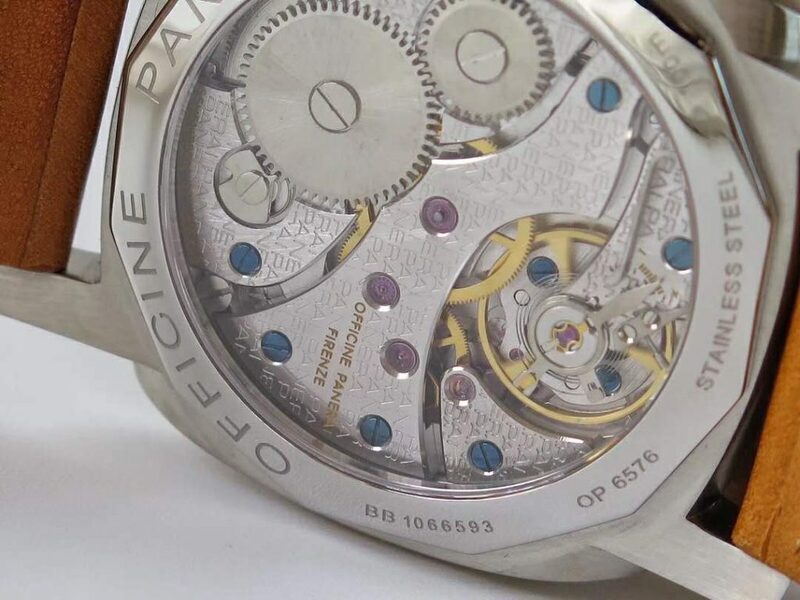 First of all is that Clone P.9001 movement which is same the per genuine, and so do all the functions. 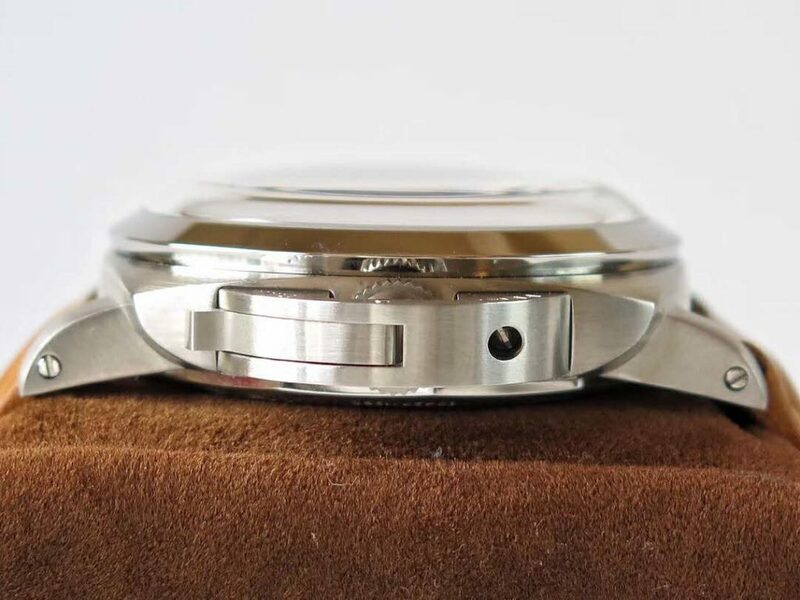 I will talk about its function details in the following. 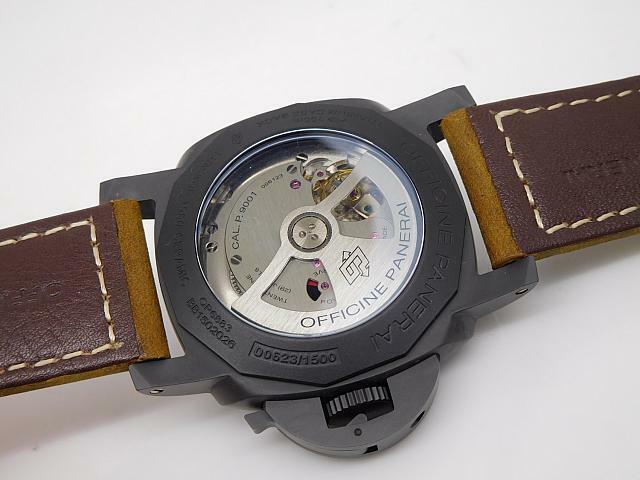 Second, the shape and material has no difference with original. 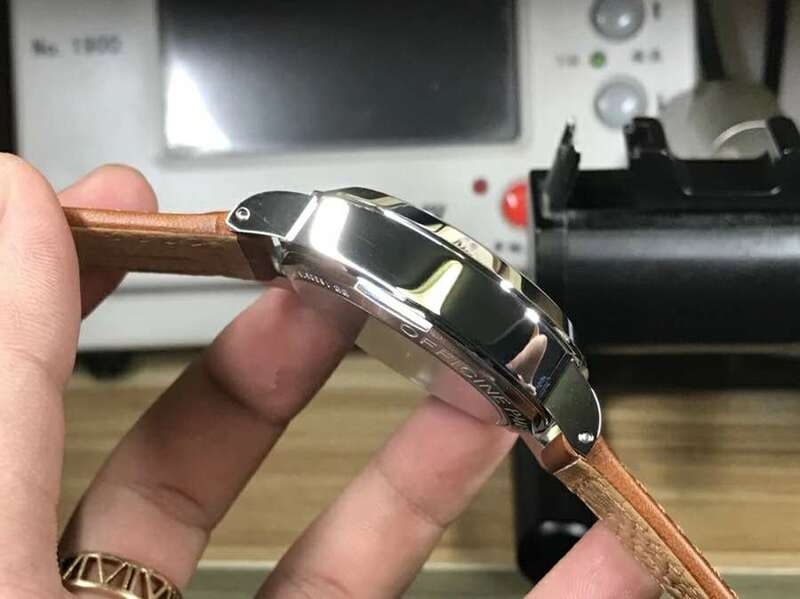 Maybe it will be better for me to introduce it step by step in details. 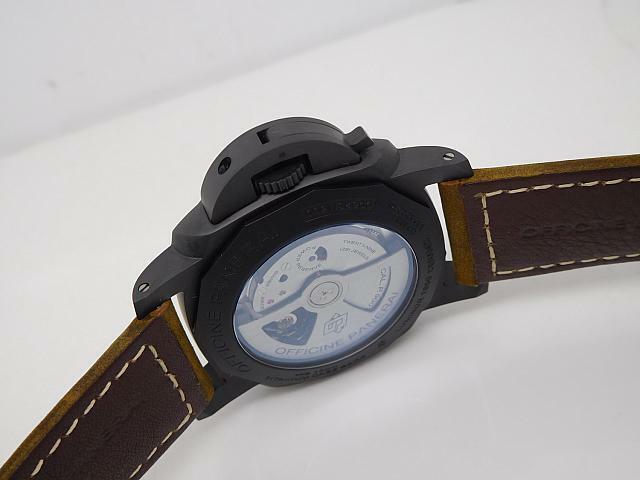 The 44*18mm case size is a normal one for such a sporty watch, its material is high quality ceramic. 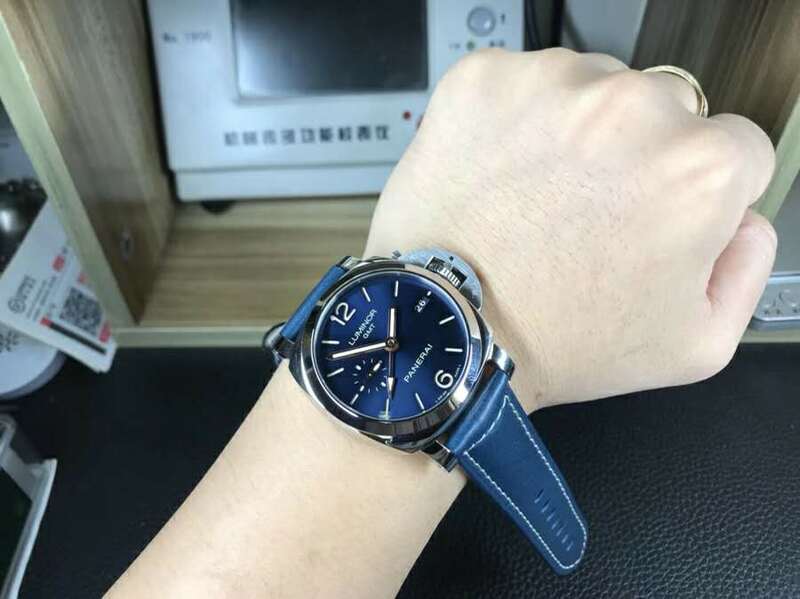 The good thing of this material is that its color never change, you know other replica editions which is made of stainless steel with black coating, its color will fade. 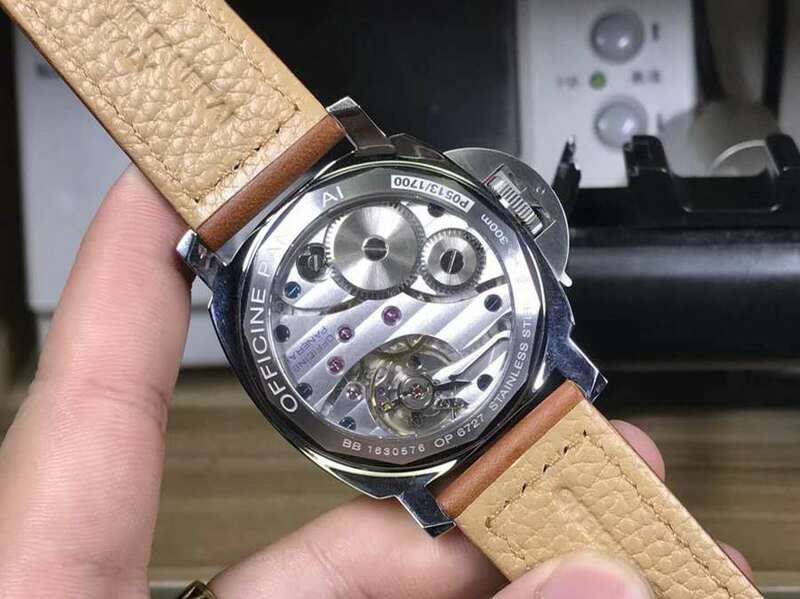 I can feel its good texture and quality very well while I am holding it in my hands. 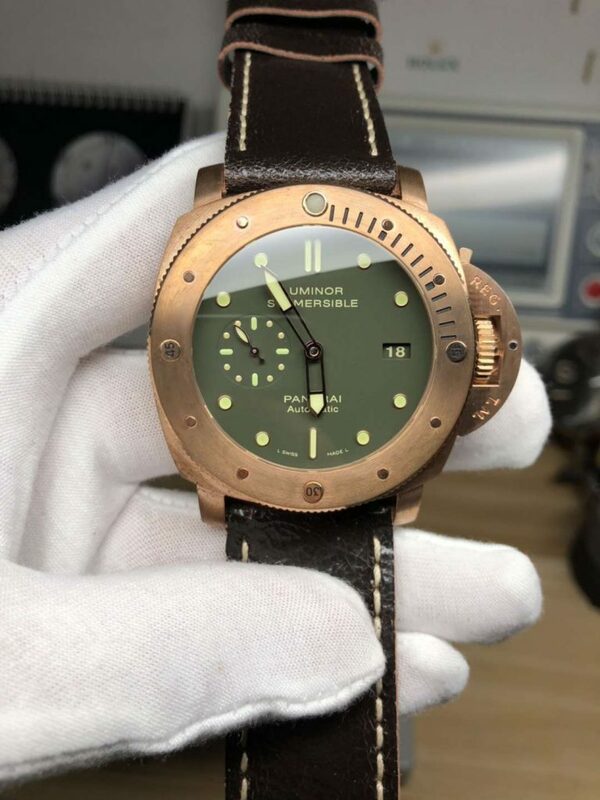 On the black dial, let’s see the small hand with luminous triangle, don’t make a mistake to think this is the second needle, actually this is for showing GMT time. 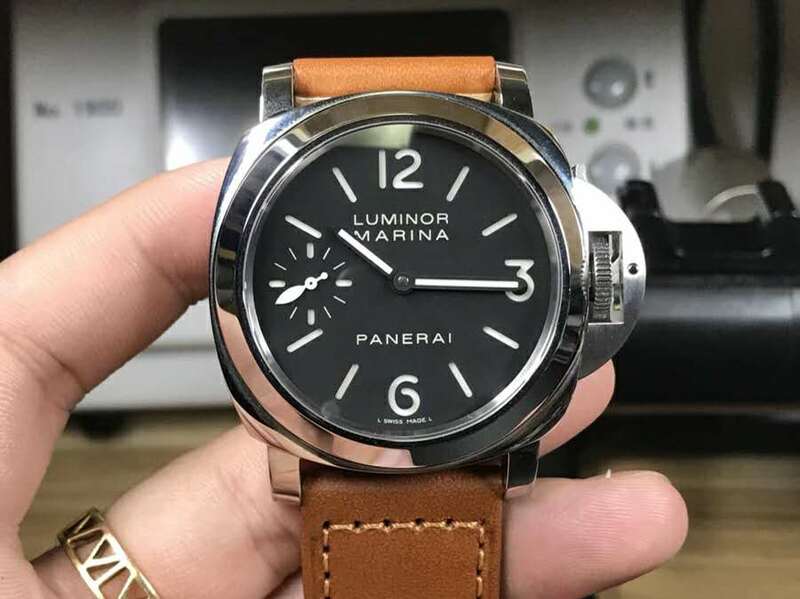 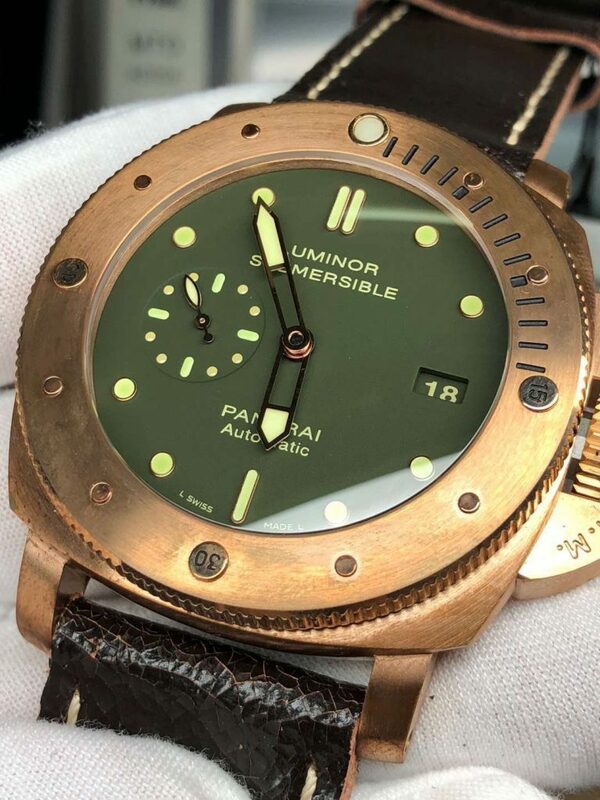 The second shows on the sub-dial at 9:00 position, its second needles looks like a torpedo as per genuine, also this design inspiration comes from ocean which Panerai use a lot. 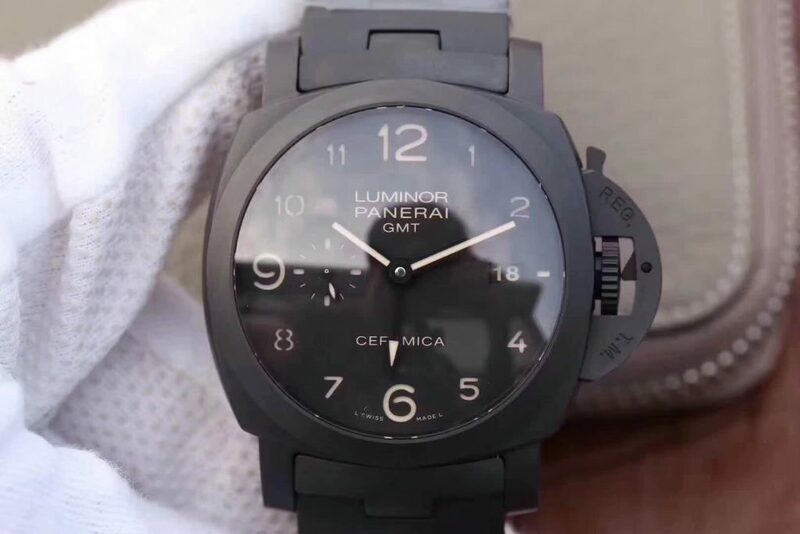 The two long luminous hands are showing hour and minute together with luminous numeral and dot remarks. 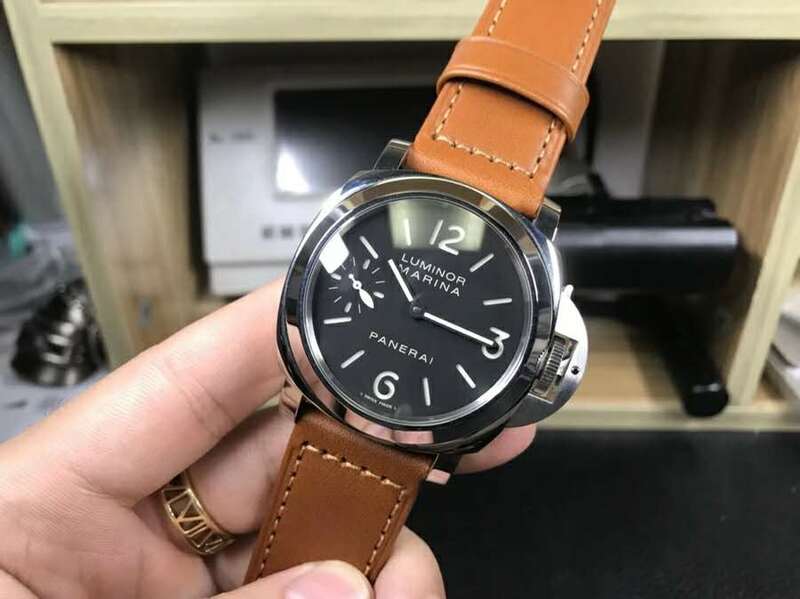 There is date indicator at 3:00 position. 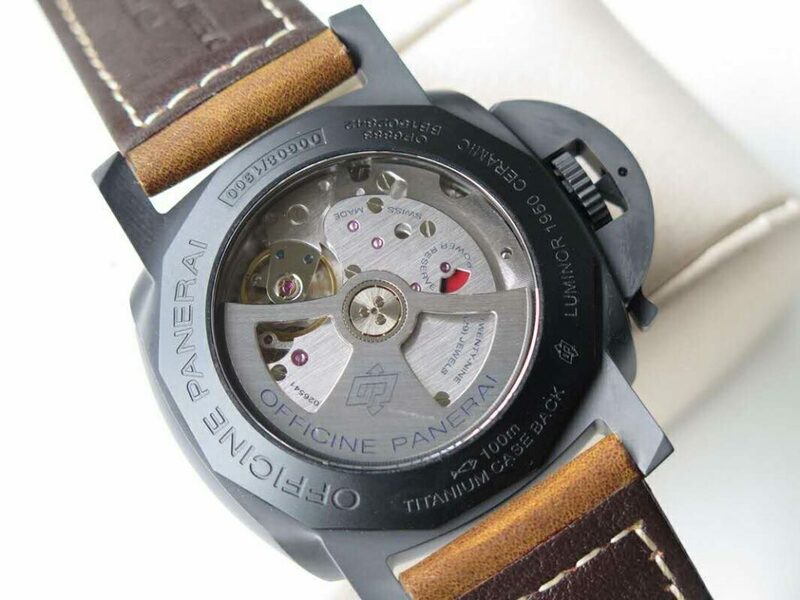 All the above functions can be adjusted via this classic Panerai crown. 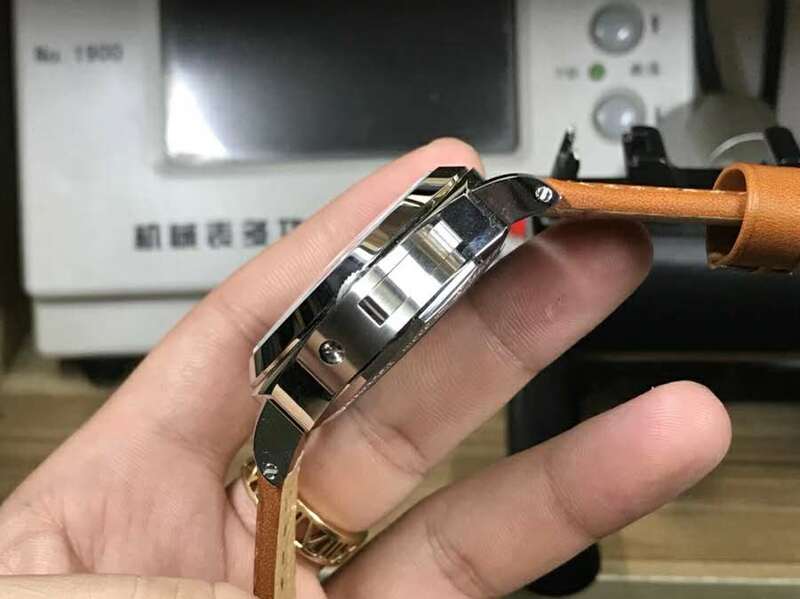 First we have to pull out the upper crown lock, if you push the crown directly it is manually winding the power, you can use this one when there is no enough automatic swing on wrist. 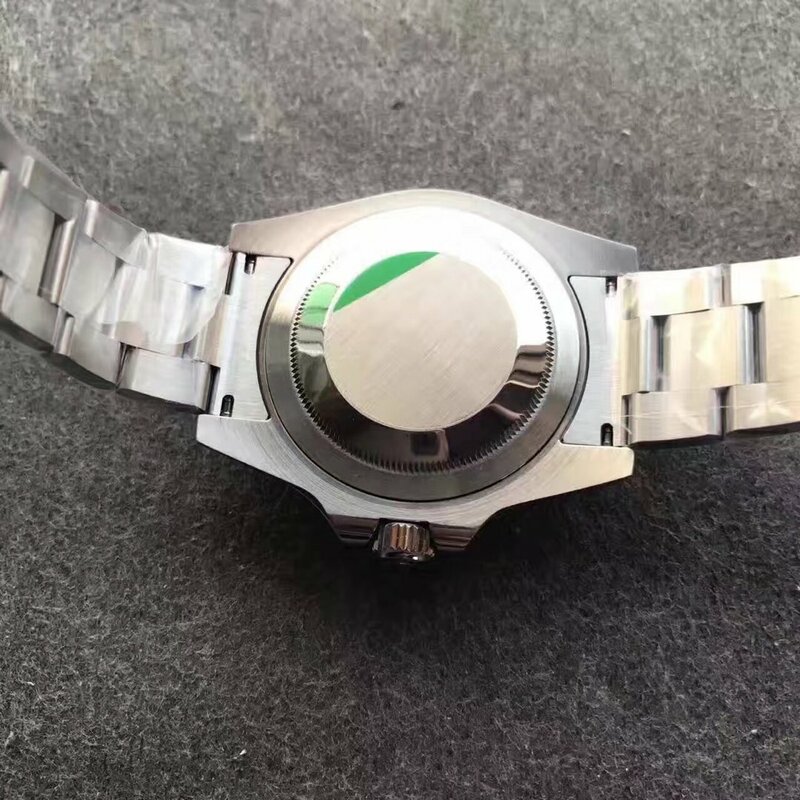 The crown can be pull it out at two levels, the first one you can adjust the time, the second level the date and GMT can be adjust, turn it around to upper side is for the date, and the down side is for GMT. 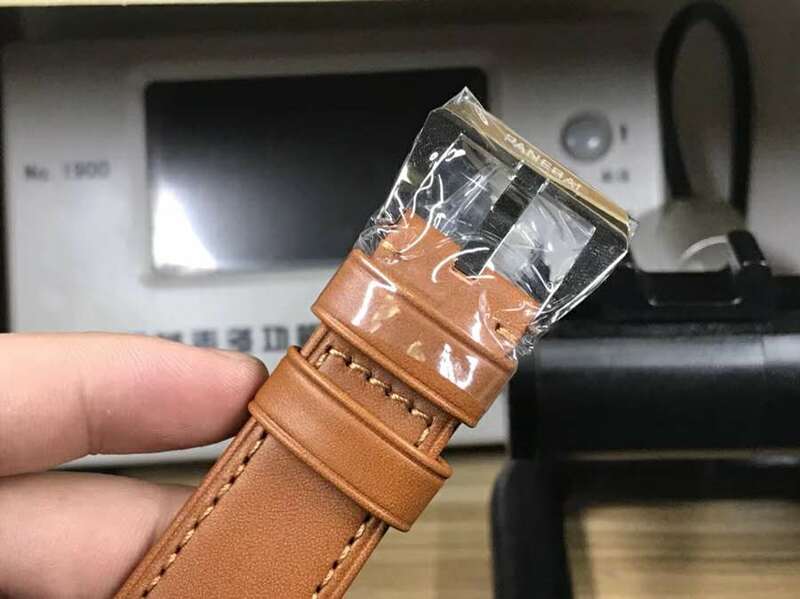 When everything is done, push the lock back to original place. 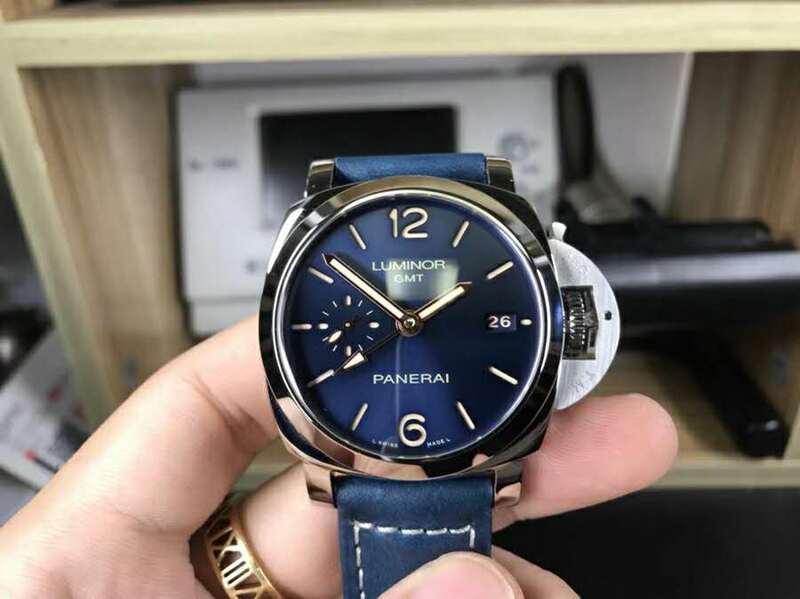 Other parts, like the front glass is made of dome sapphire crystal with colorless AR coating, and the strap is made of real leather like per original. 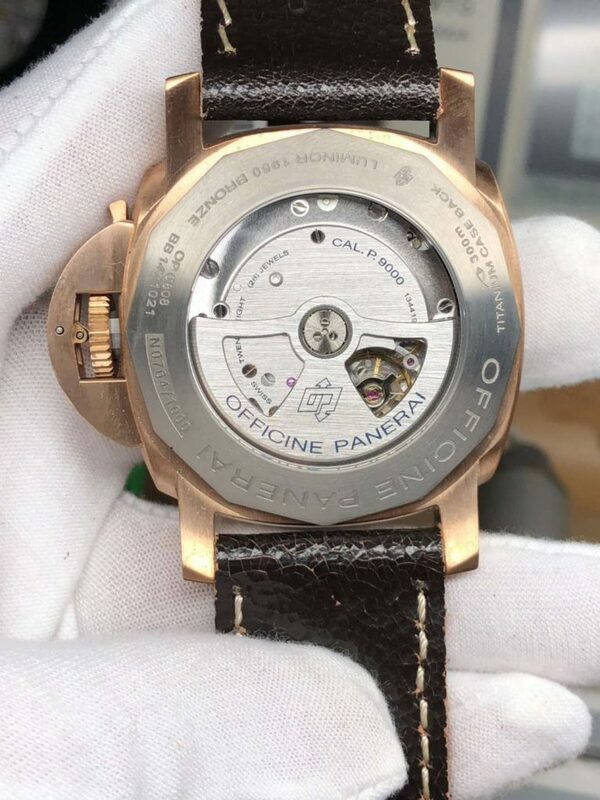 From the back display case, we can see the details of this clone P.9001 movement, which is really hard to tell the difference between the original. 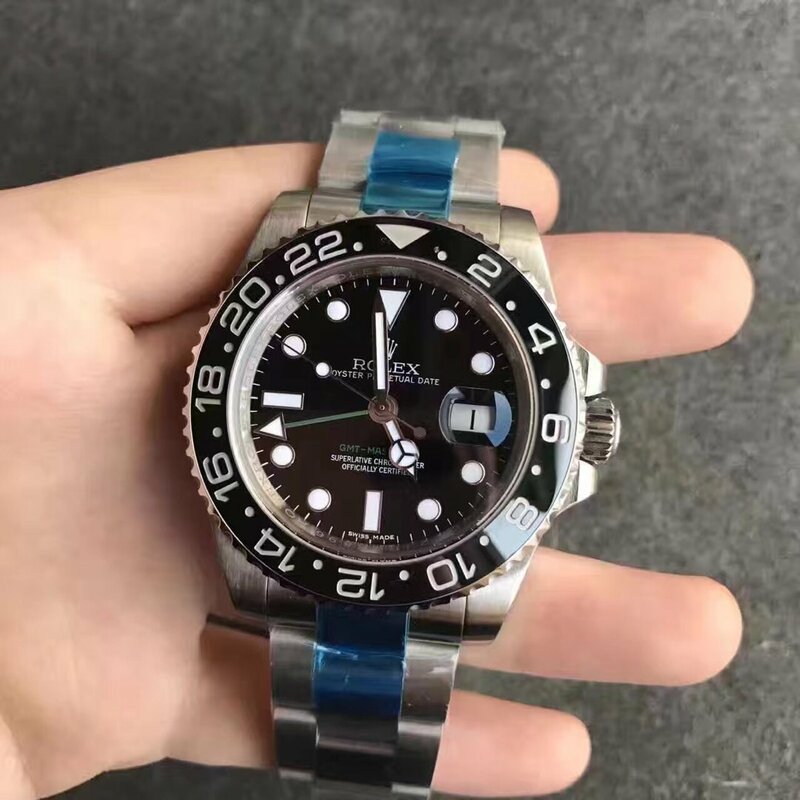 When the factory told me that this watch is the best replica Rolex GMT-Master II watch so far in the market, I was wondering how it would be. 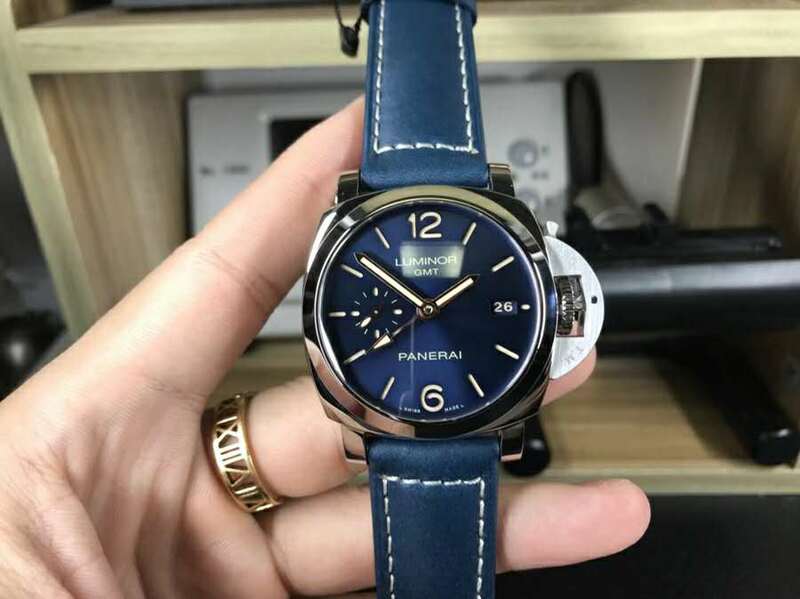 I hold this new arrival in my hand and look into it carefully, then I agree with what I was told. 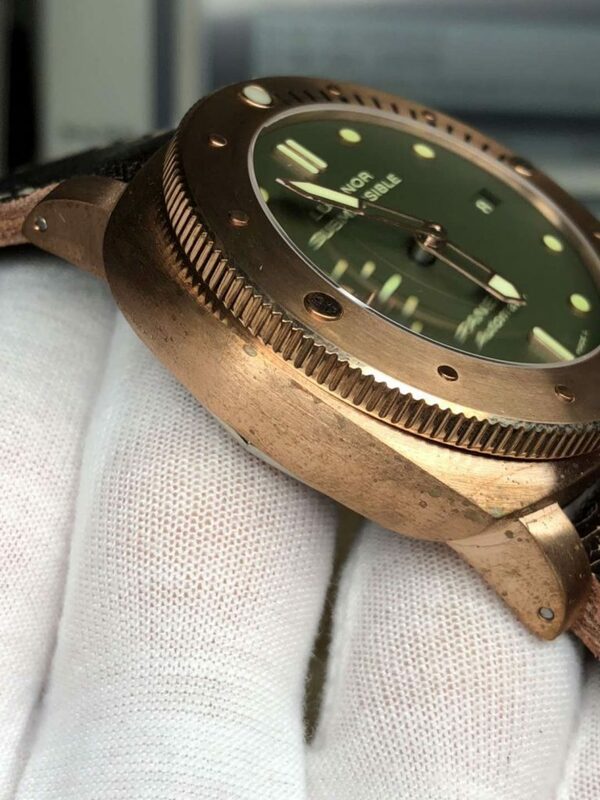 No matter the look or the material, it is exactly the same as the original. 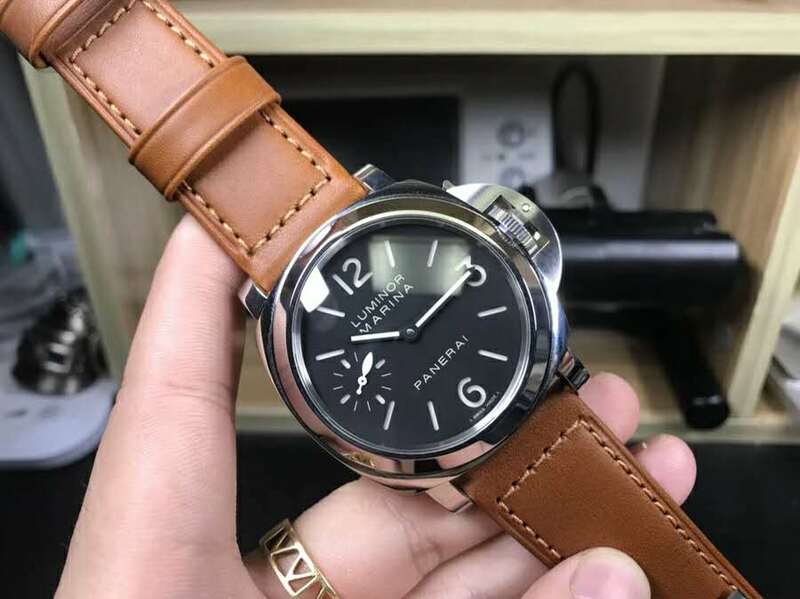 I think you would like me to show you more details as below. 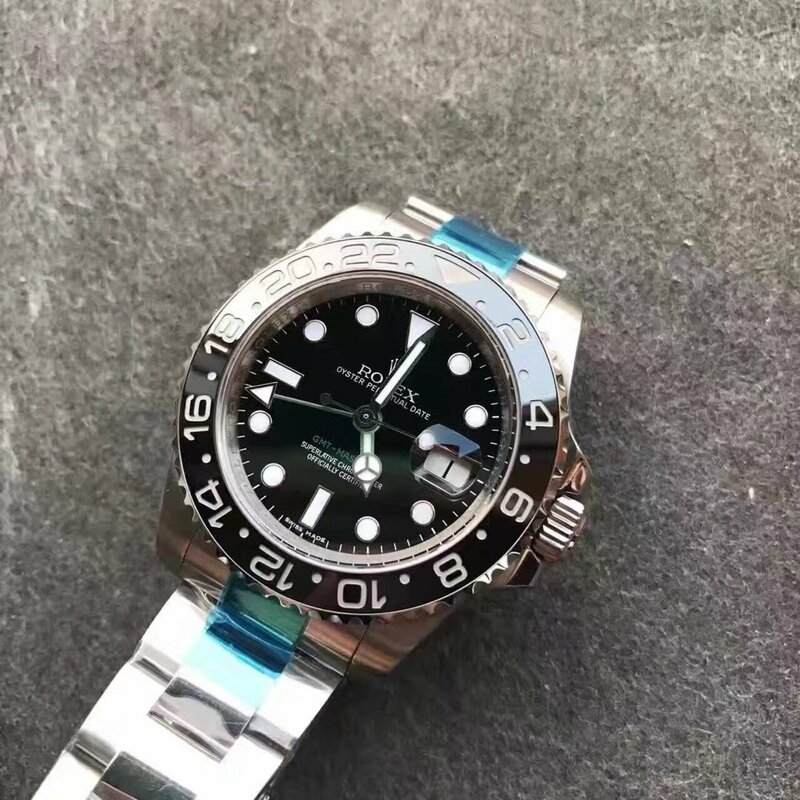 It seems that Rolex designed the GMT-Master II for specific group, but more and more people who travel a lot or love traveling would prefer to wear this watch. 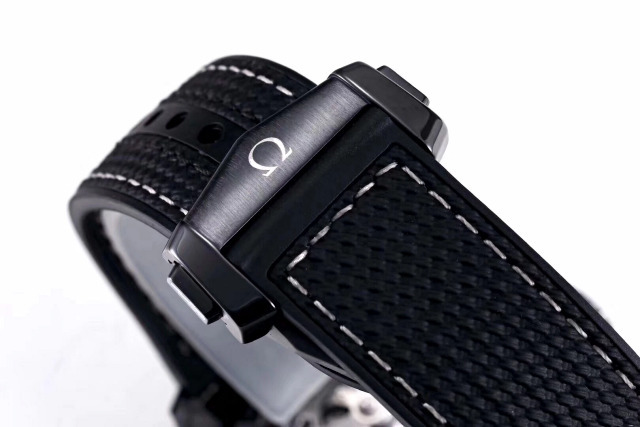 The reason is the elegant look and its useful functions. 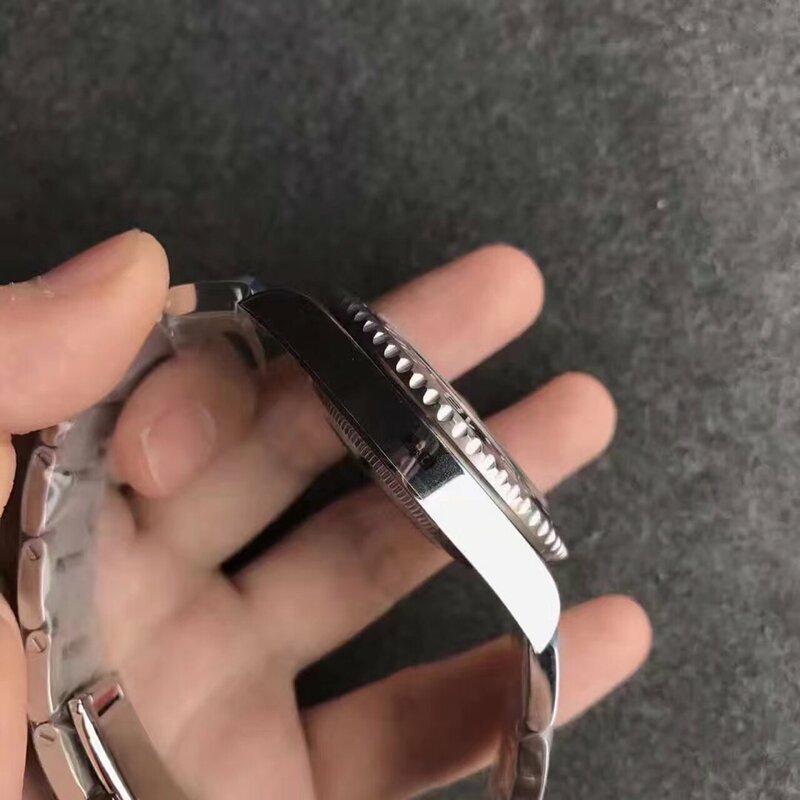 The 40mm case is made of 314L stainless steel and looks good not only during travelling all over the world but also good for any business occasions. 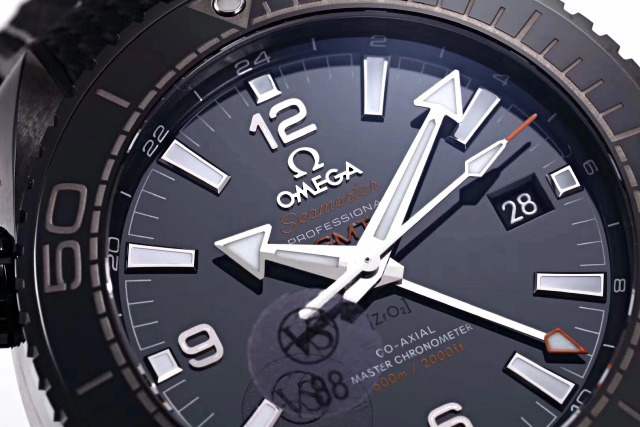 On the black dial, there are dots and stick markers, and except for the hour, minute and second function, there is also date display and GMT. 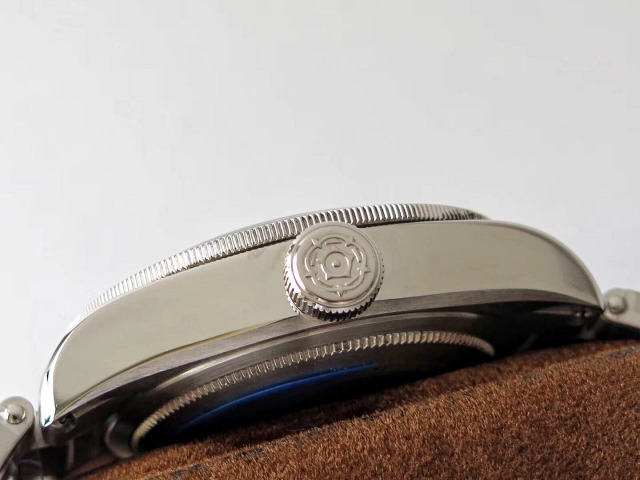 The date indicator is at 3:00, and we can see it adopts Rolex’s traditional water-drop design to enlarge it. 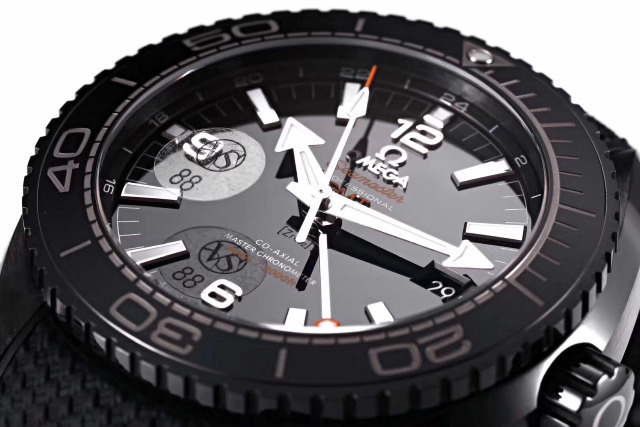 On the black bezel we can see there are numbers and markers, this is the most outstanding specification of this GMT-Master II watch, from hands on the dial we can tell the local time, and from the bezel and the 24-hour hand we can tell the time zone when you travel. 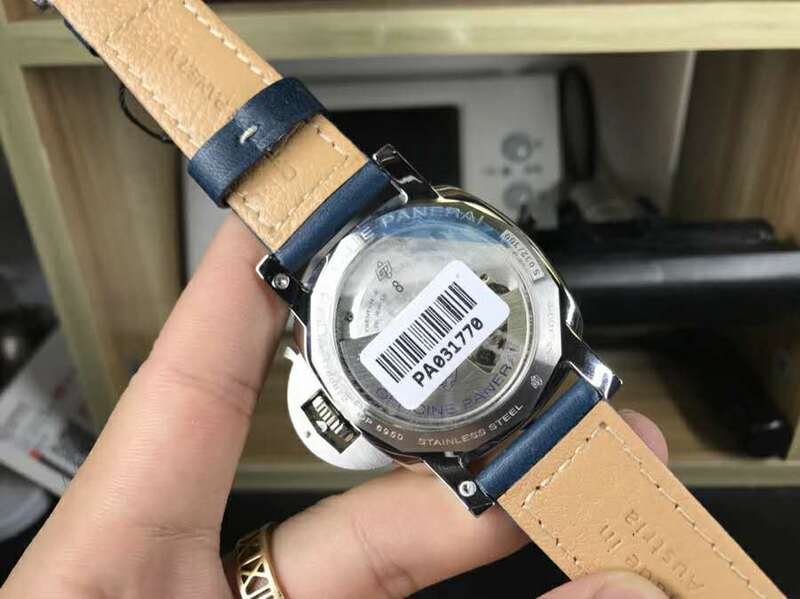 And this is can be adjusted by the crown, so the traveler can always know the time of the departure and arrival places at the same time. 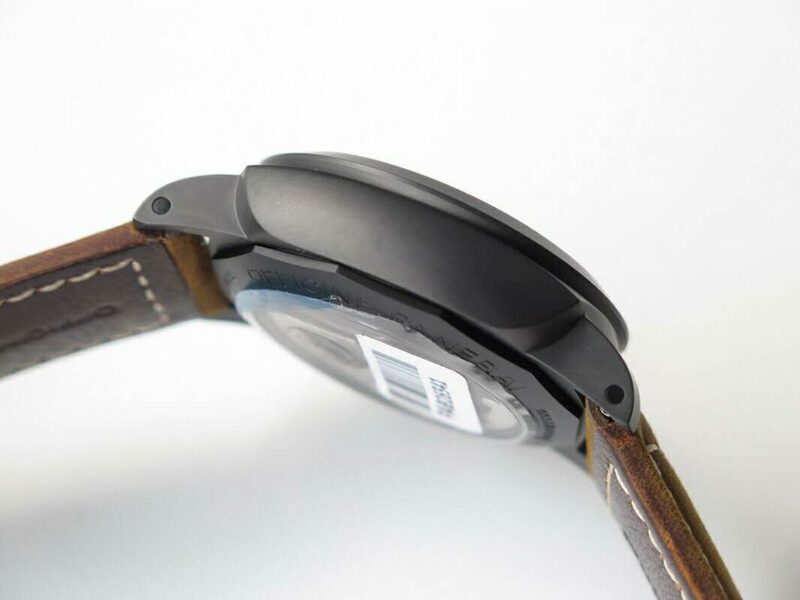 The bezel is made of ceramic material, matching the sapphire cover perfectly. 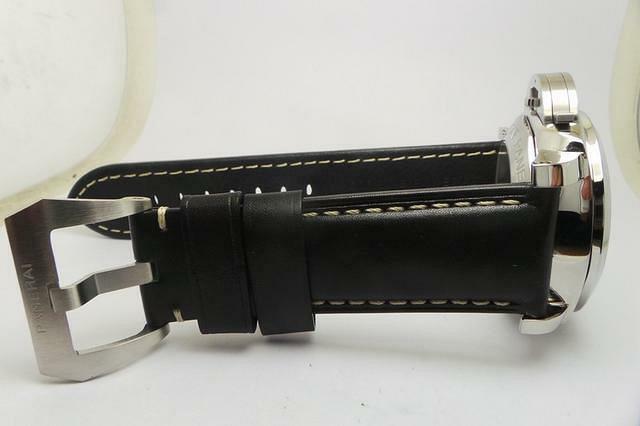 The strap is very Rolex style type, matching a folding clasp. 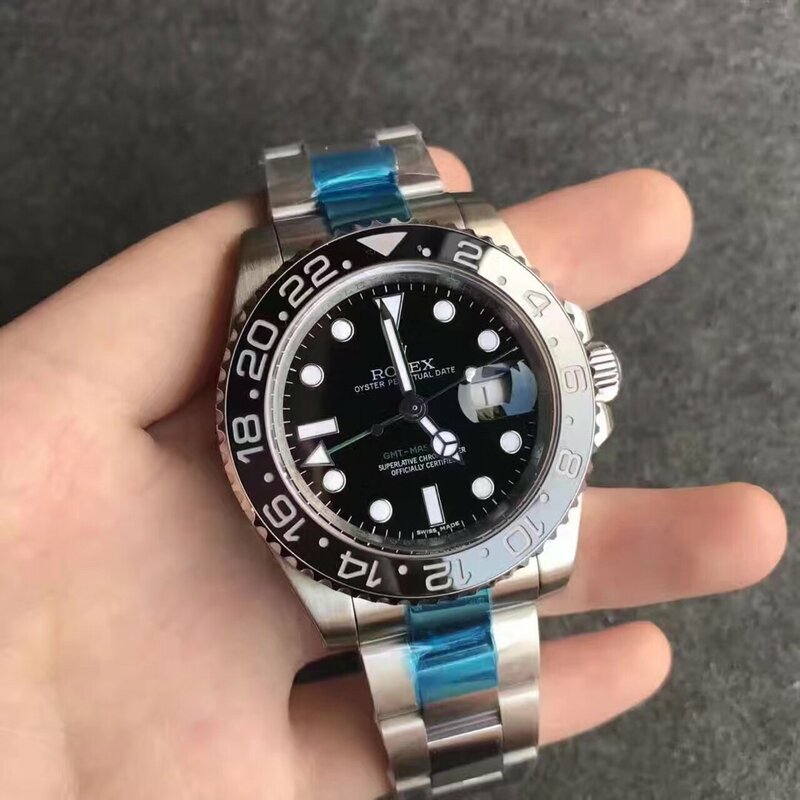 The reason they said this is the best edition of replica Rolex GMT-Master II is that it is driven by a 1:1 super clone 3186 automatic movement, which can support it to work as well as the original. 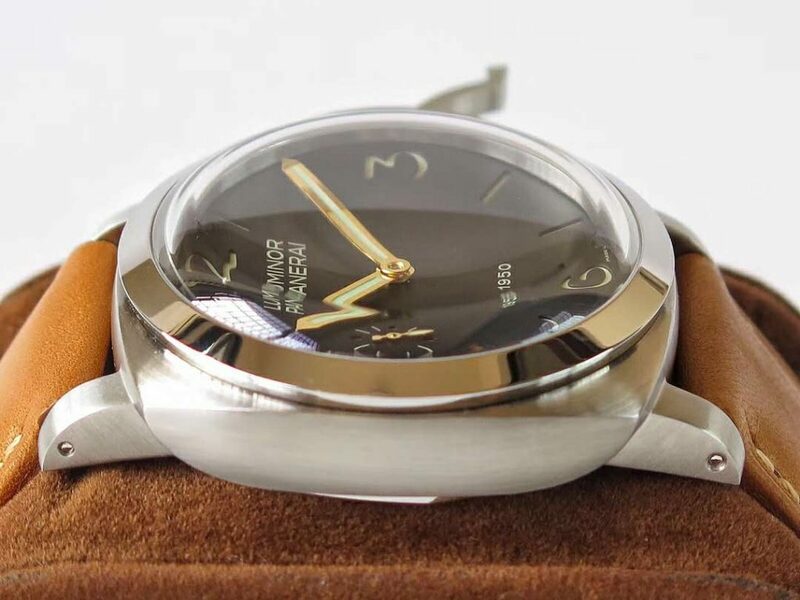 And, this watch looks younger than other gold and stainless steel models, looking good on the young as well. 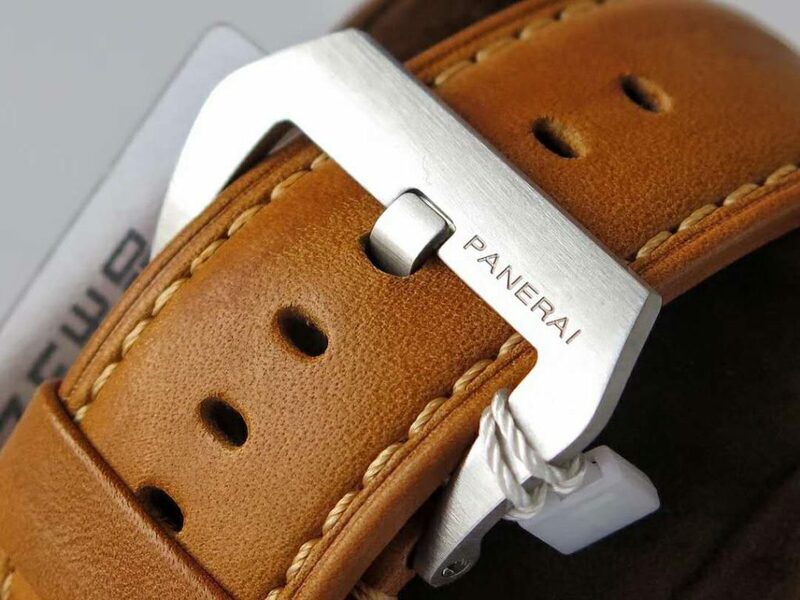 As the old saying , travel broadens the mind and enrich the soul. 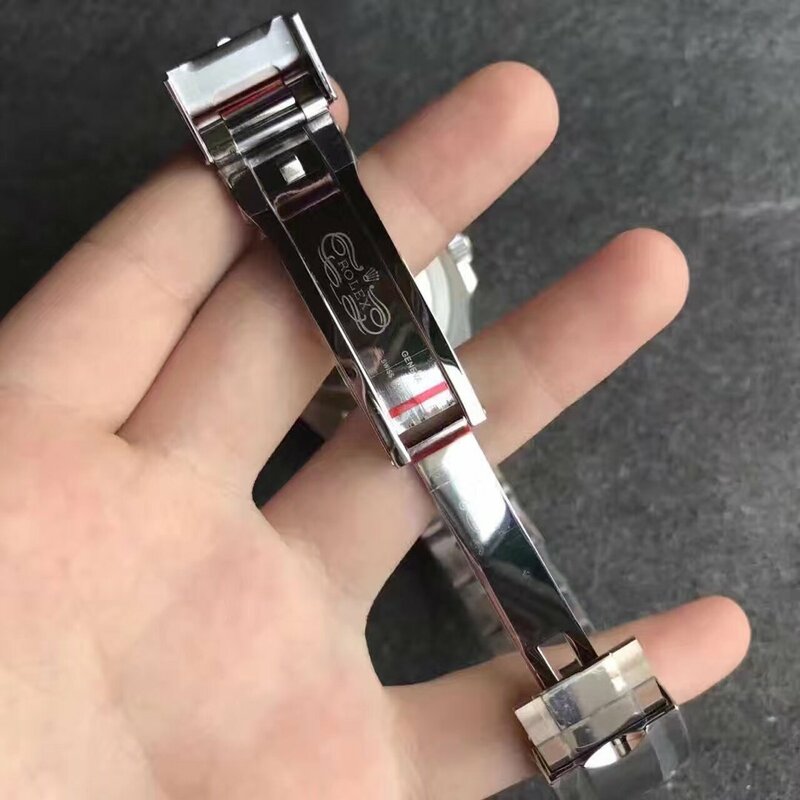 Yes, all of them expect either our heart or body can be on the way. 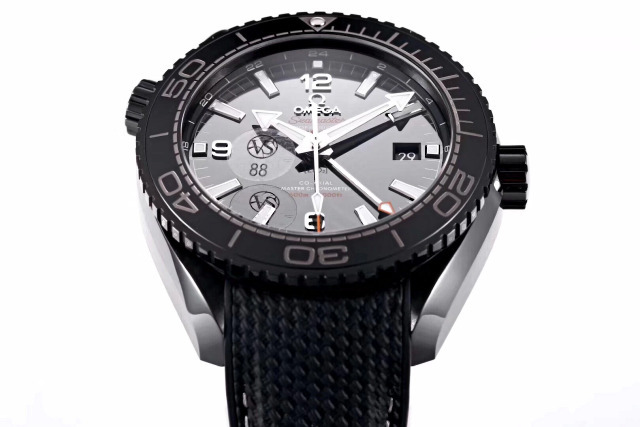 Wearing a GMT wrist watch to travel with you, that may be an awesome thing. 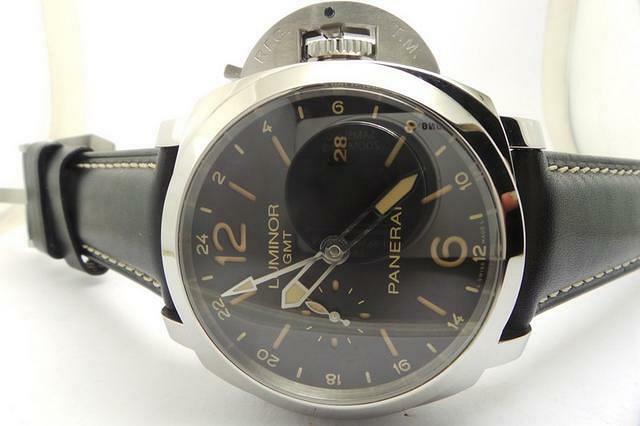 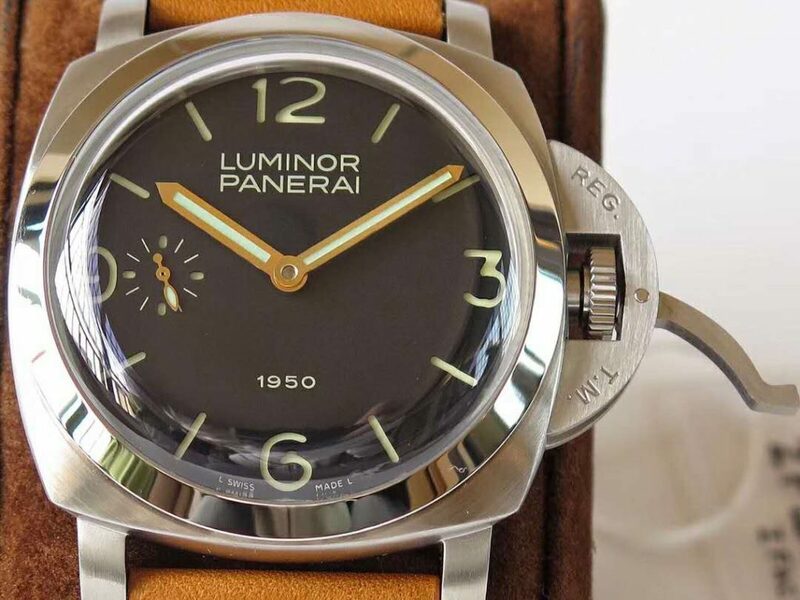 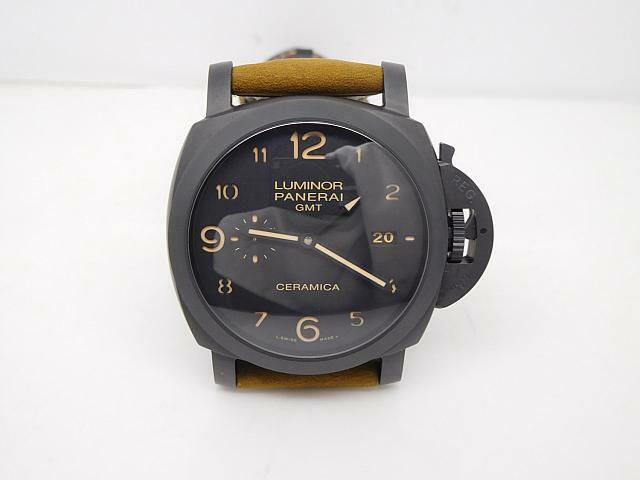 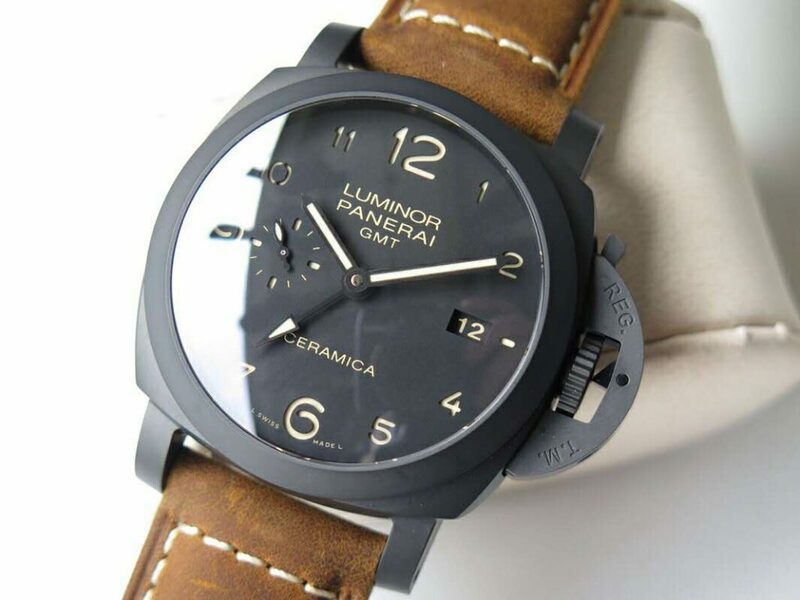 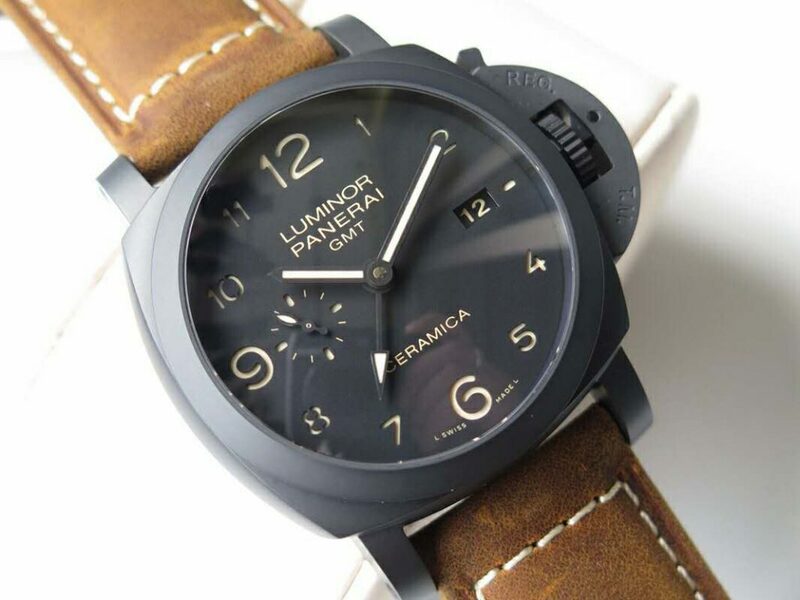 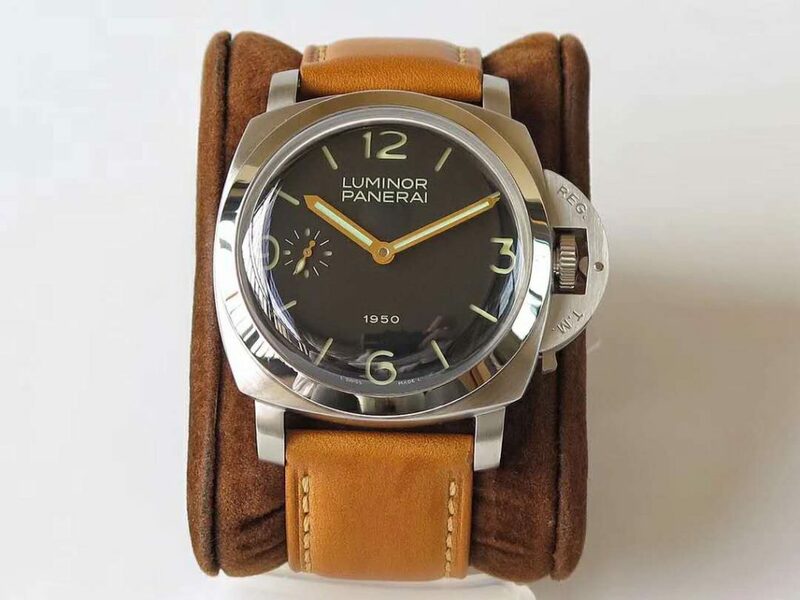 Therefore, I am going to recommend an excellent replica, which based on the genuine of Panerai Luminor 3 Days GMT. 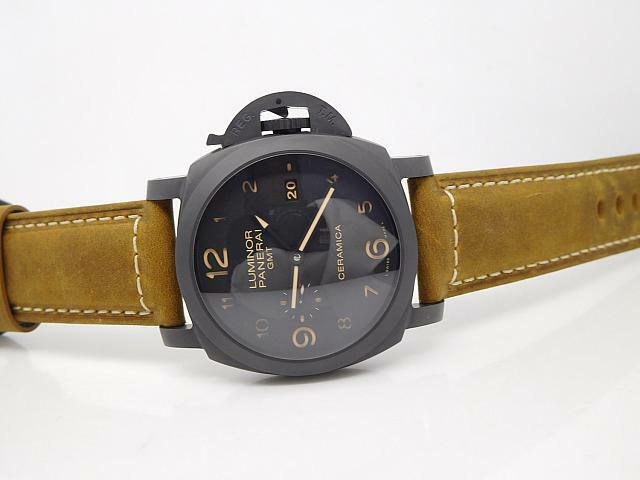 It is no exaggeration to say, this replica is make for someone who like travel exclusively. 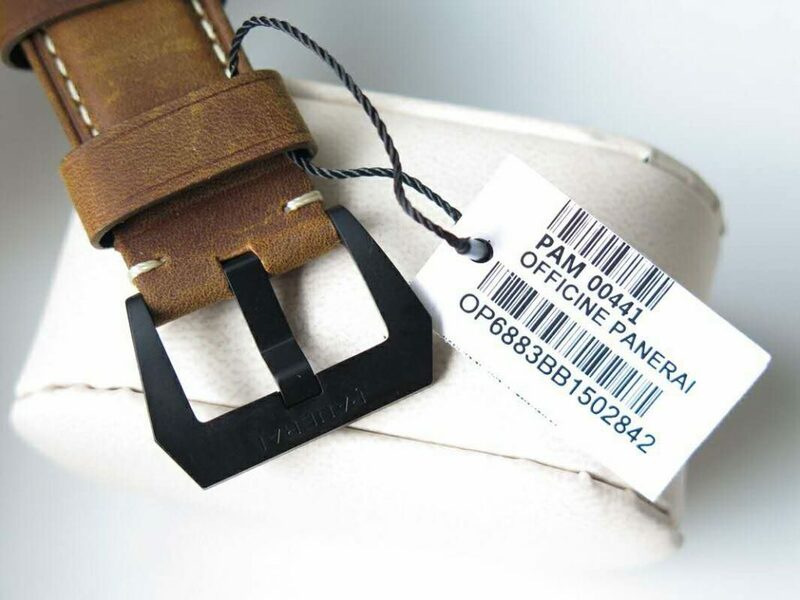 Now let’s explore its component together. 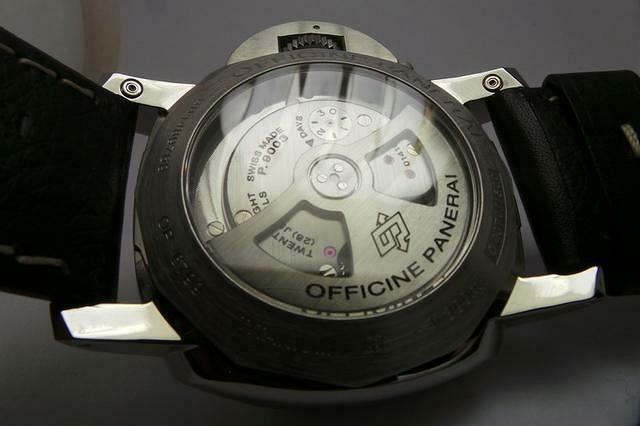 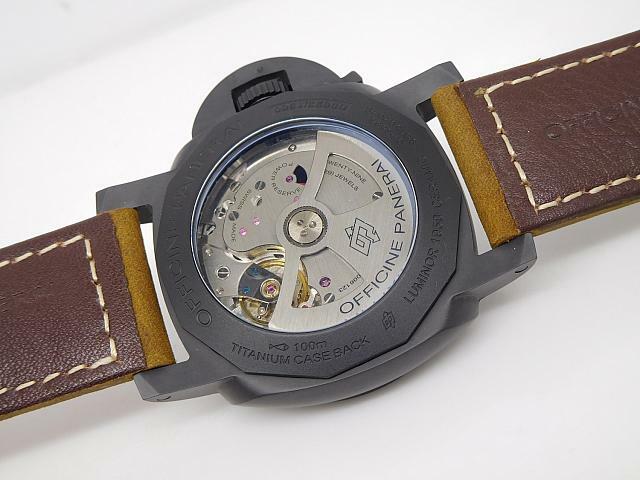 Ultra big dial was a unique characteristic for Panerai. 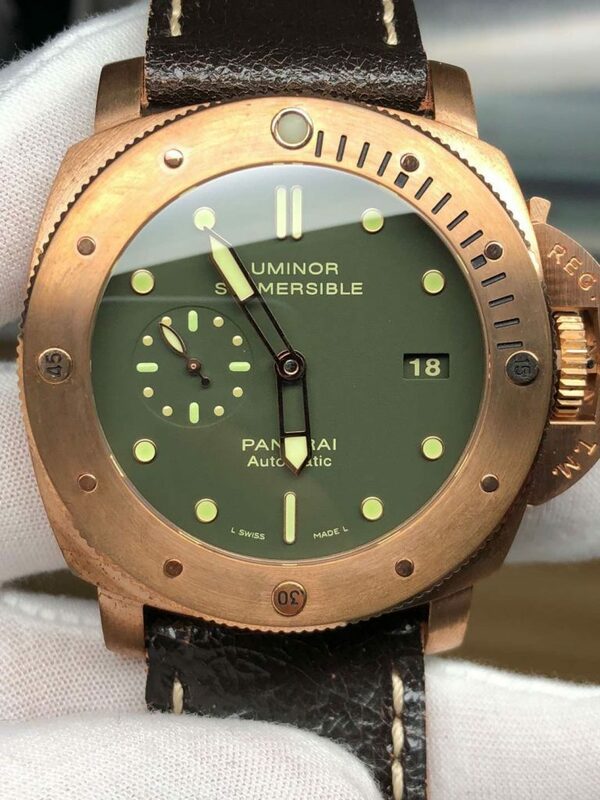 Of course, the replica has followed this united rule. 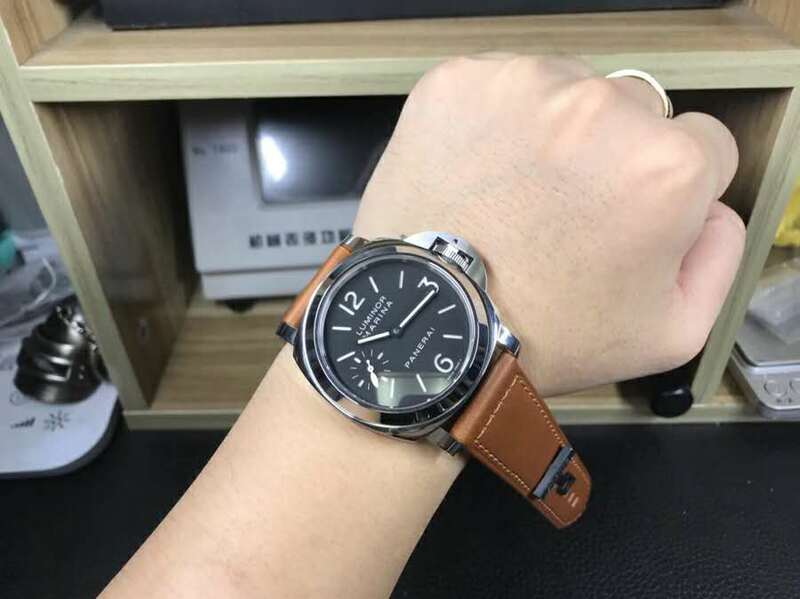 Its diameter was 44mm. 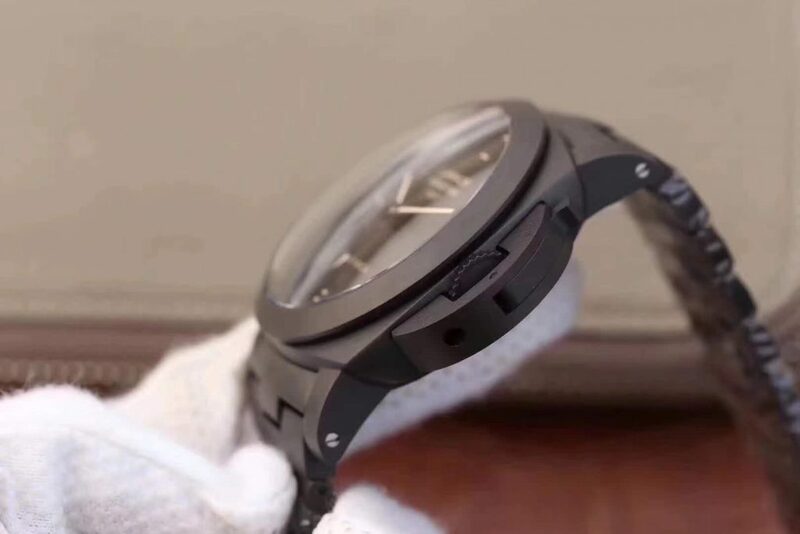 It case was made of solid 316 stainless steel. 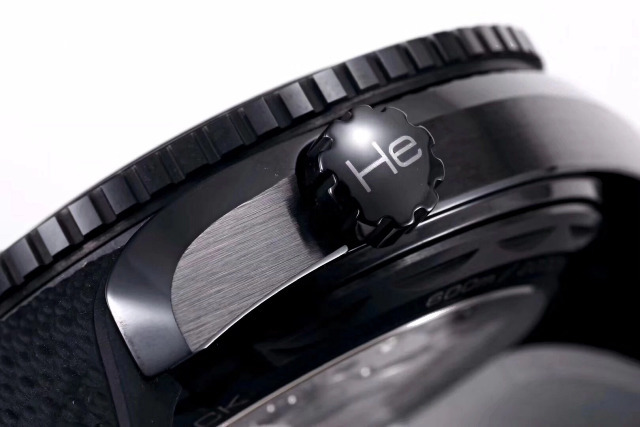 Through the glossy sapphire crystal which with colorless AR coating to protect its dial. 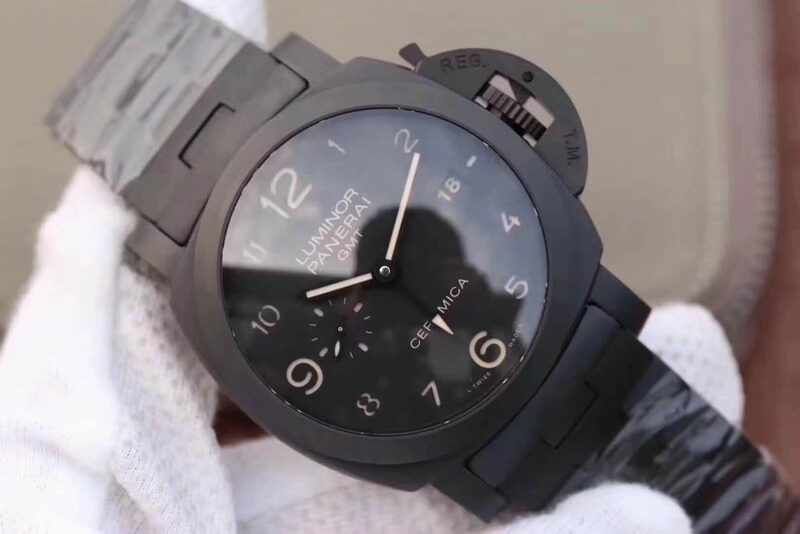 We can see that there are sufficient information to complete with this black big dial. 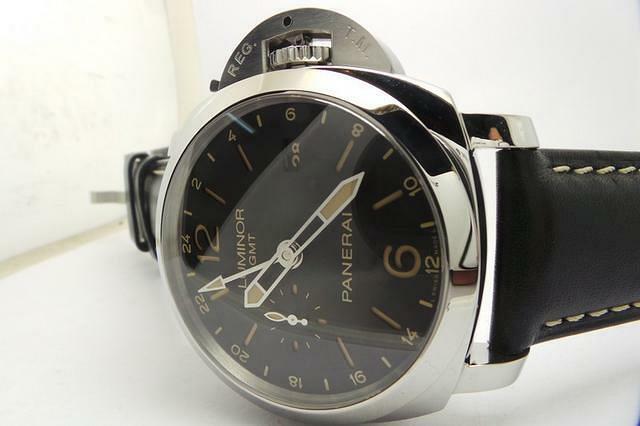 Such as two big Arabic numerals at 6:00，12:00position, and the strip-shape markers were surrounding in the dial. 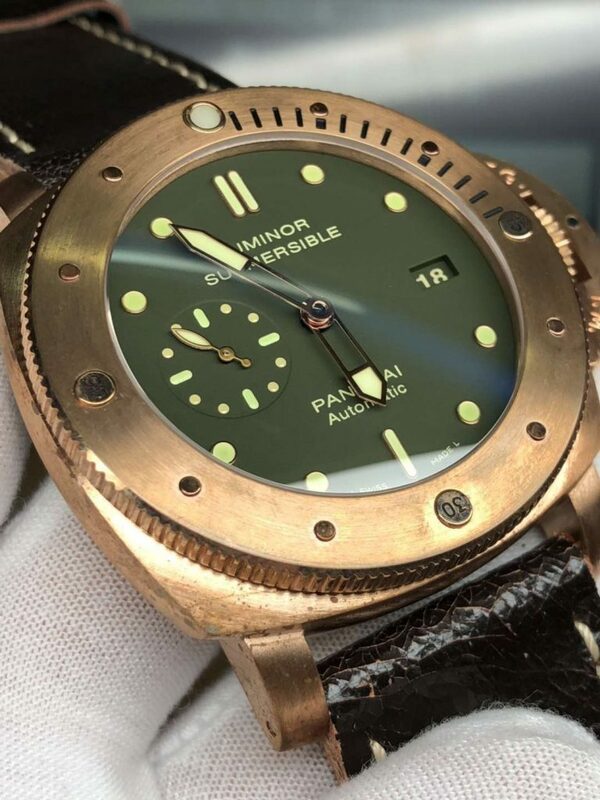 A seconds sub-dial was set in the place of nine o’clock. 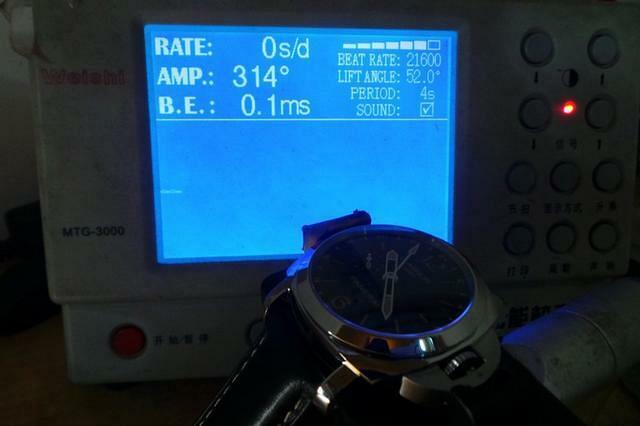 The date display window was set at 3:00 position. 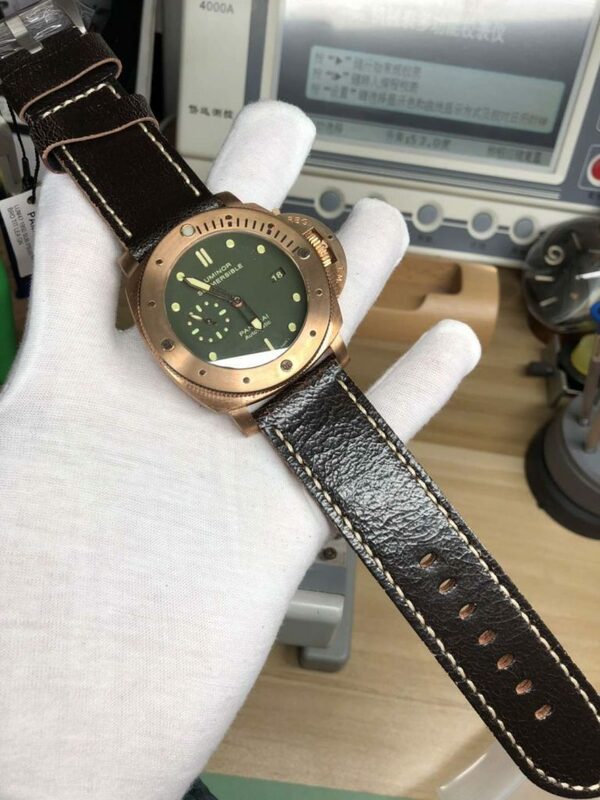 Except two big sword-shape minute and hour hands, there is an additional hour hand for indexing a second zone time, which is made for traveler exclusively. 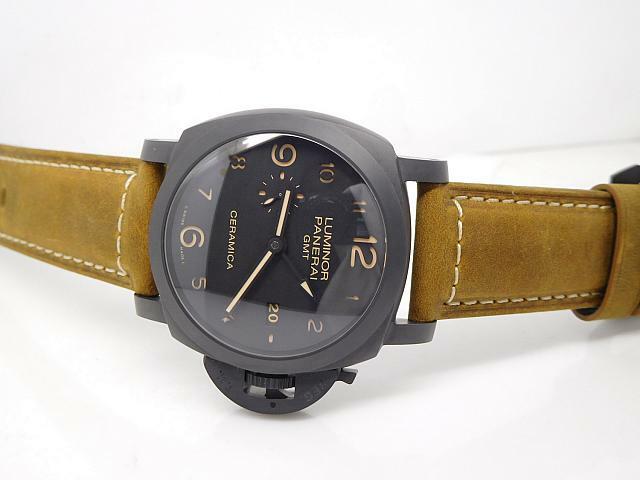 Correspondingly, it has associated with a 24-hour graduated scale. 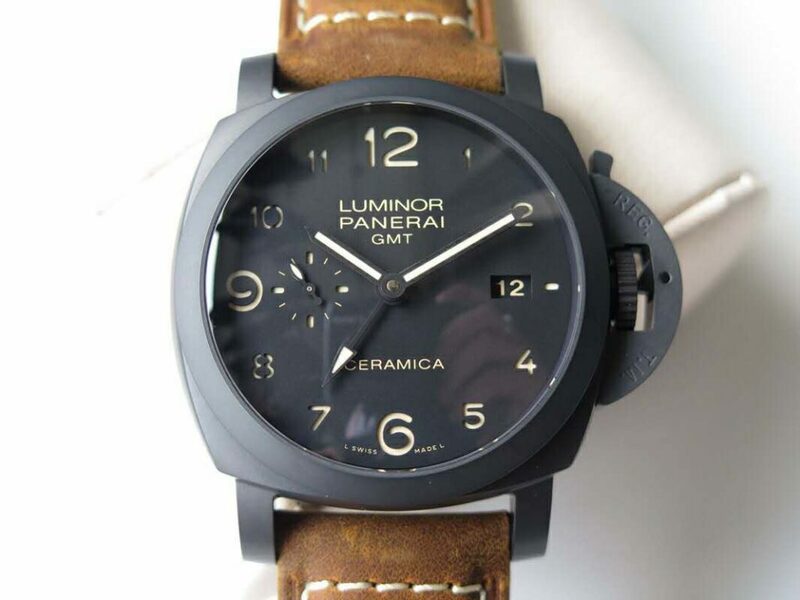 Besides, in order to have a superior readability, it has been coating with super luminor in markers, hands, scales. 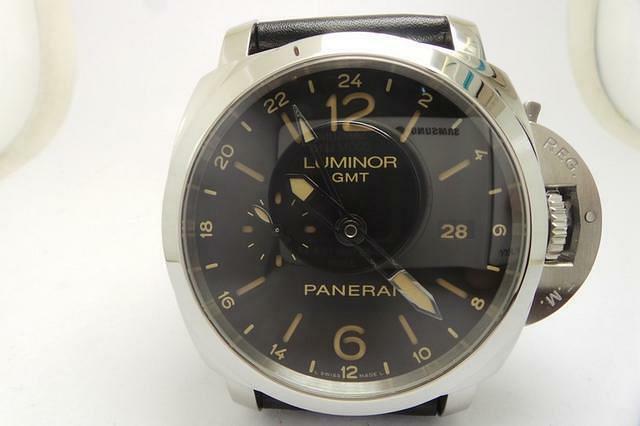 So that you can read time easily even in darkness. 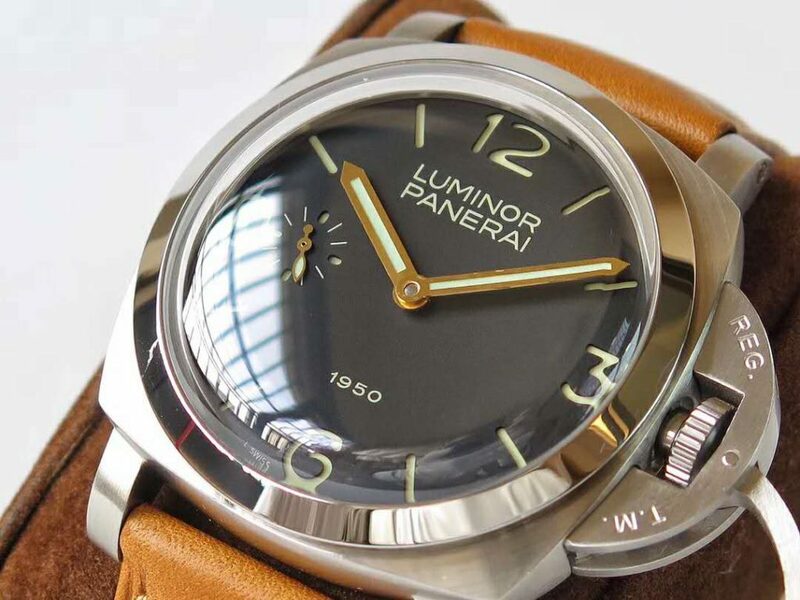 Classic factors of Panerai was very important, so the replica did. 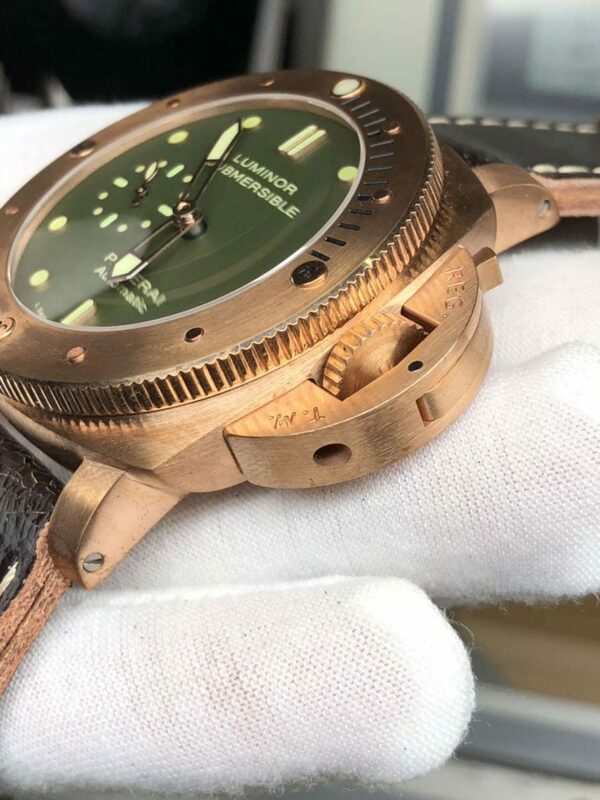 It also with sandwich dial structure. 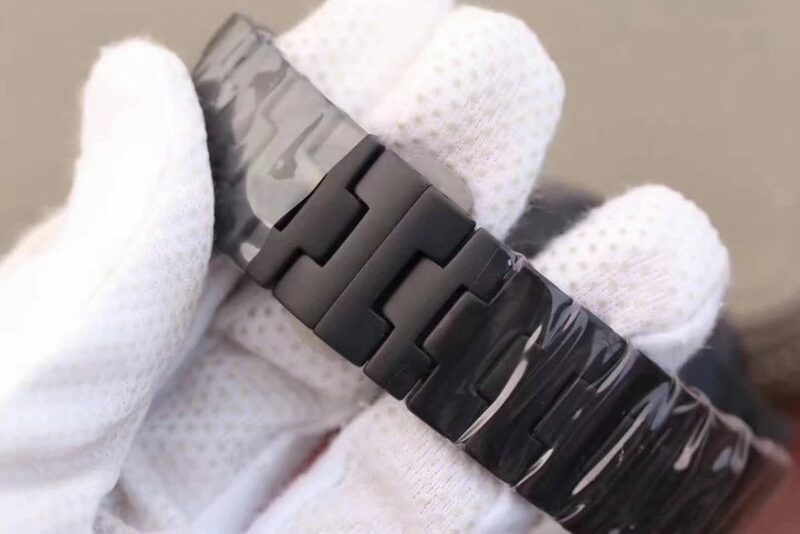 Besides, it has bridge to protect crown out of damage and have a good performance in water resistance. 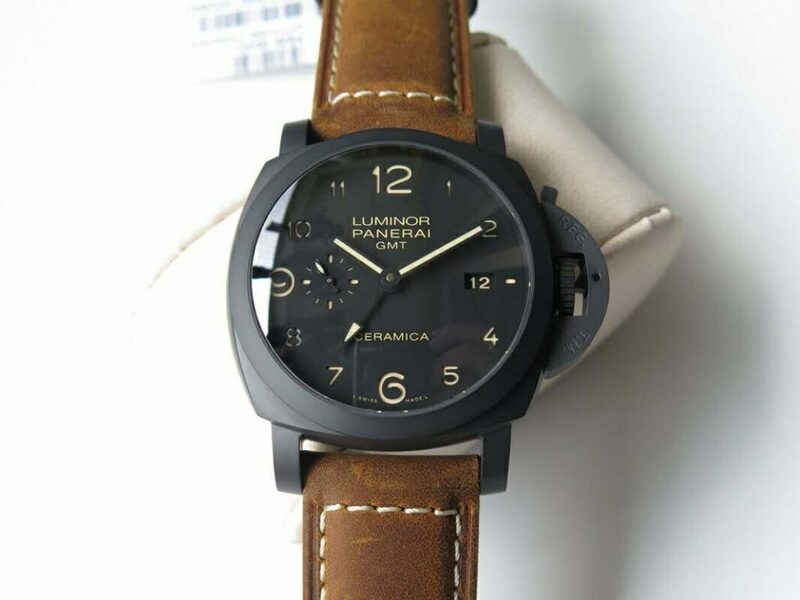 This replica with a calf leather strap, which was in concert with the main tone of dial, off black. 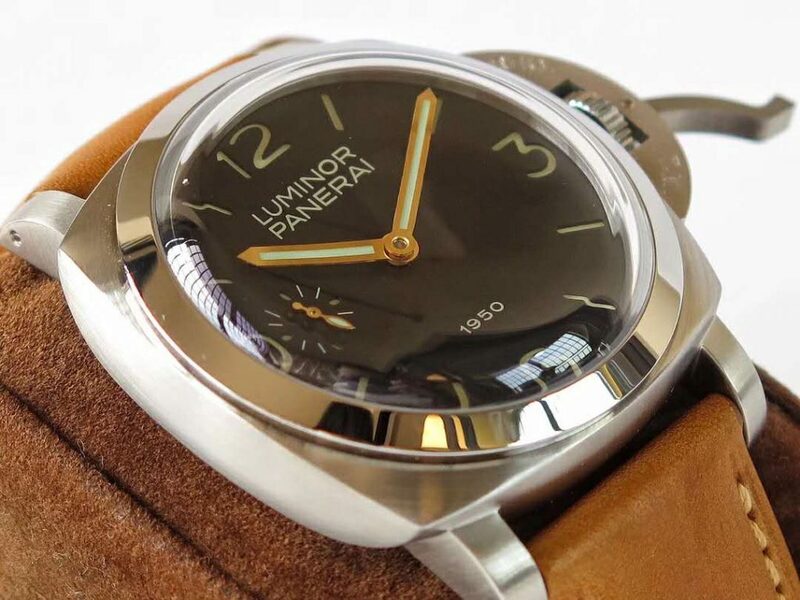 With such matching, this replica Panerai Luminor GMT was more harmonious as a whole. 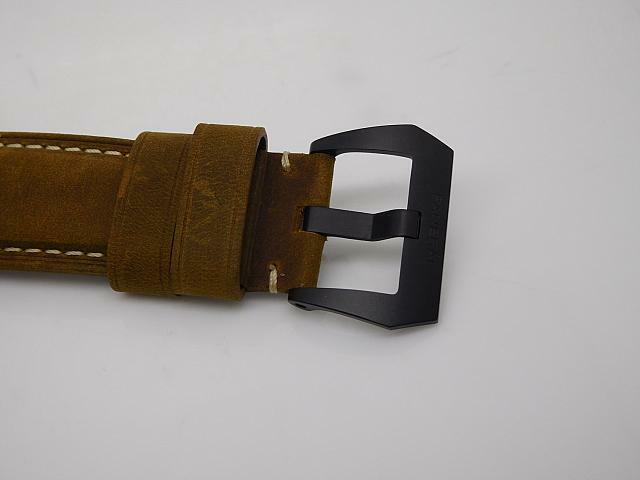 What’s more, it has off-white stitch in strap, which was so delicate and elegant with such decoration. 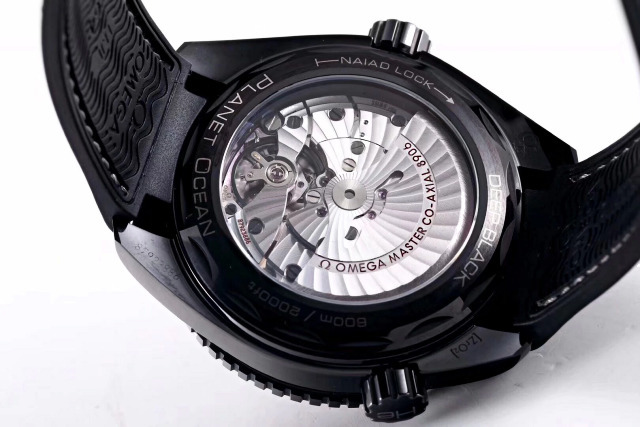 With such amazing appearance, it was necessary to have a powerful movement so that it can operate smoothly. 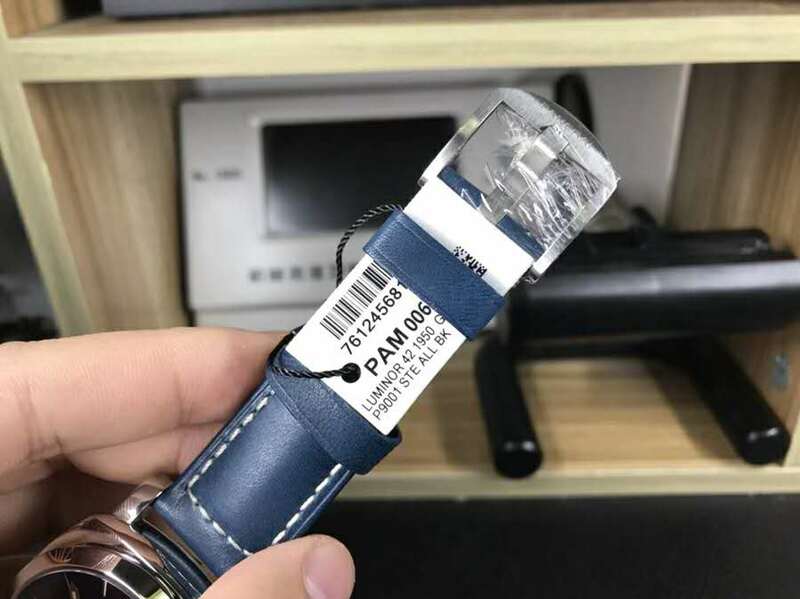 This replica equipped with clone P.9003 movement, which is based on Asian 7750 automatic, it can ensure to be accurate and stable in travel time as the original one. 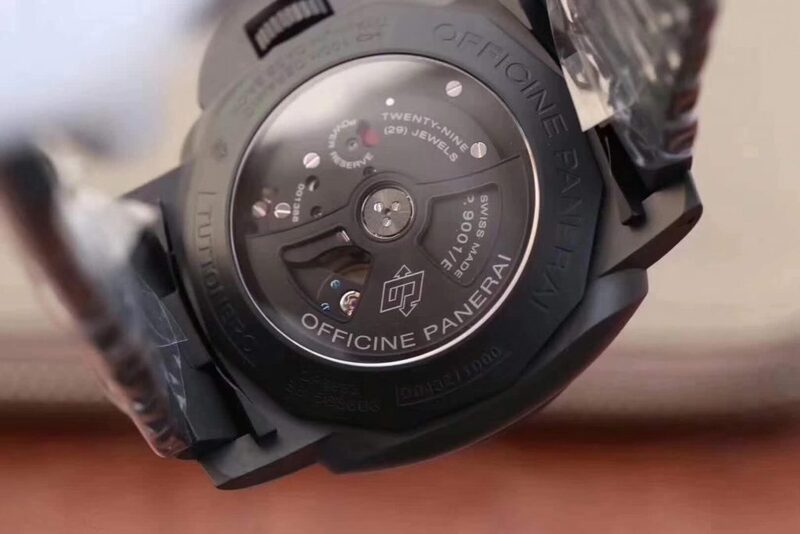 Though the transparent case back, we can appreciate the wonderful view of movement. 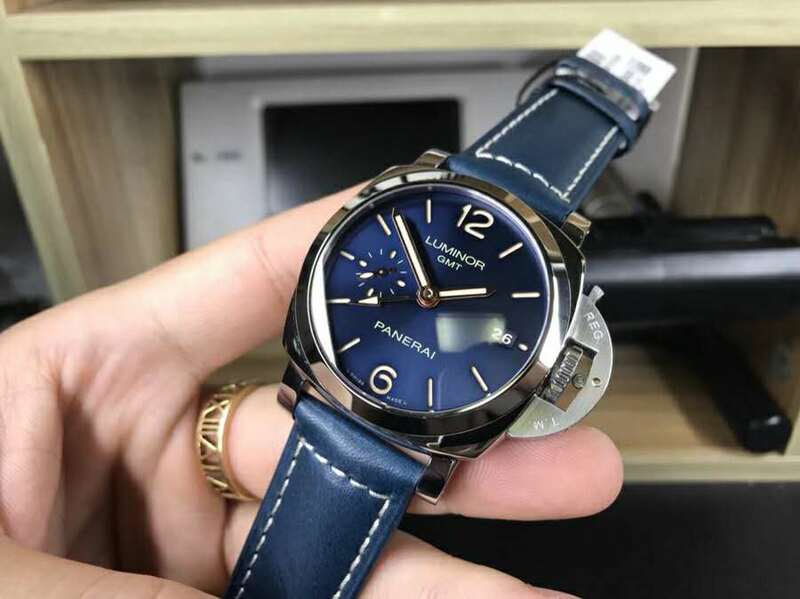 No mater where you are, a GMT wrist watch may be bring more convenience to you, it will make you more enjoyable with this accompaniment. 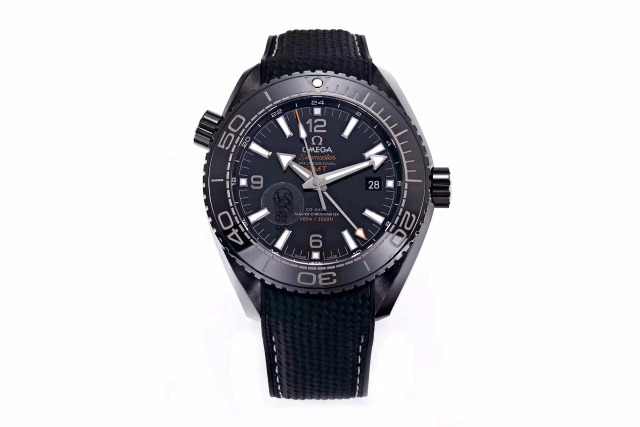 I believe that this replica can be your good partner to explore the world with you.